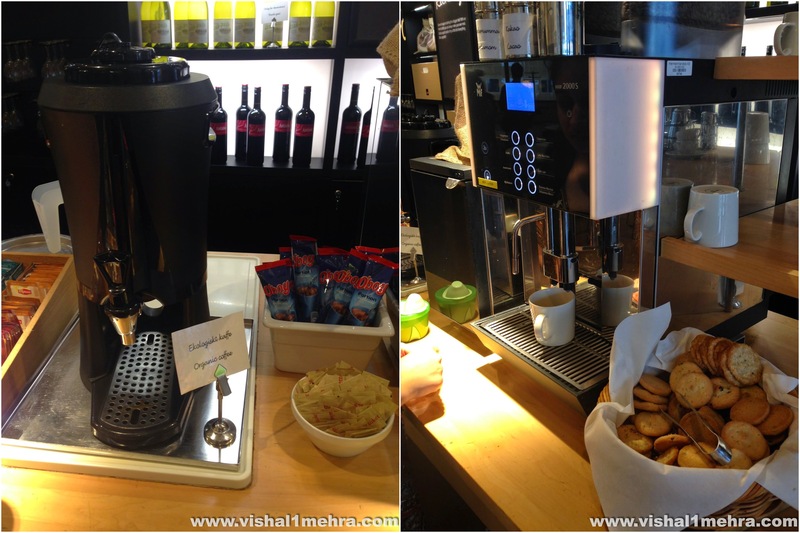 Tripping through Scandinavia | Vishal Mehra and Co. It was hard to come out of that traveller heaven also known as Turkish Airlines Lounge, at Istanbul but the prospect of missing flight back home wasn’t so attractive either. It was a 13 minute walk from the lounge, through the maze of Istanbul’s Duty free shops to our Gate. At the gate, the scenes were pretty chaotic with no proper queues in-sight, but we were able to dodge it and the friendly agent at the gate counter helped us through quickly. The crew greeted us warmly as we boarded the aircraft. My folks turned left and I went… to the right. I was able to secure seat 6A on the phone with the Turkish Airlines customer service. 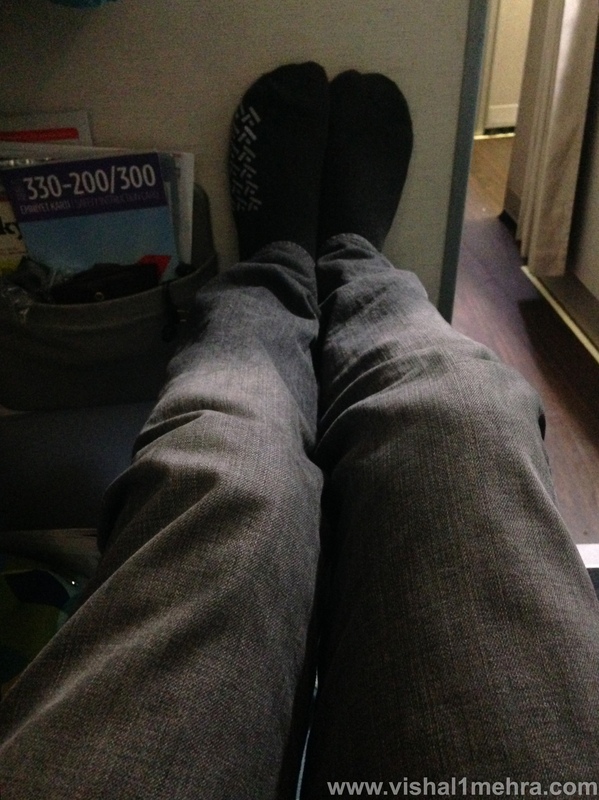 It is certainly not Business Class but it probably is the best Economy seat in the cabin. The 2-4-2 cabin layout is a big positive and the ample leg room takes this economy seat a notch above the rest of the cabin, though some folks may find the proximity to the lavatory bit bothersome. 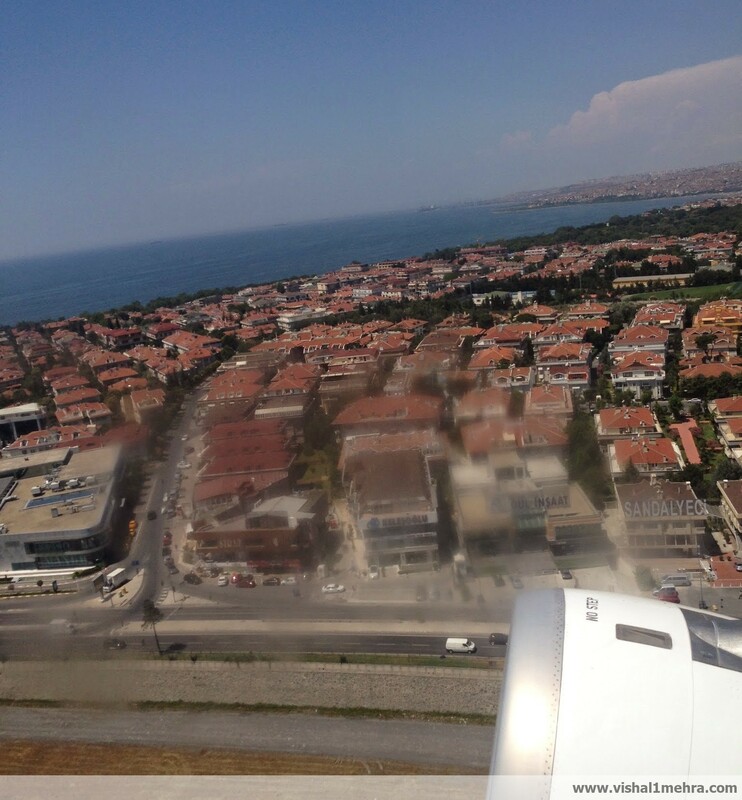 There was a slight delay in departure, though I made good use of our extended ground time in Istanbul. The aircraft scenery out of the window was beautiful, not as scenic as a Turkish evening by the Marmara sea, but the Jets around were soothing to the #AvGeek eyes. 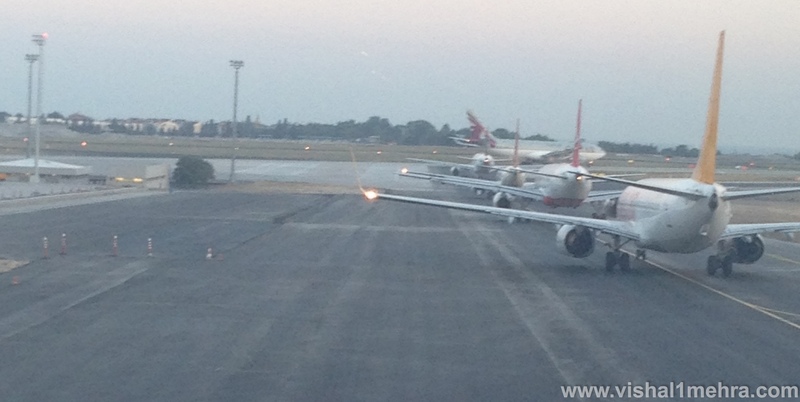 Pushback started 11 minutes behind schedule and it was a very busy time at Istanbul Ataturk Airport to say the least. I could see a long queue of Planes ahead of us, waiting to jet-off. Heavy incoming and outgoing traffic at the airport meant plenty of opportunities to put my photography skills to test and for my aviation imagery database to increase. Somehow clicking aircraft pictures always gives me a different kind of high. One of the disappointing aspects during this delay was no incoming information from the cockpit or the cabin crew, although I could see the “reasons” in front, I doubt if all passengers were able to figure that out. 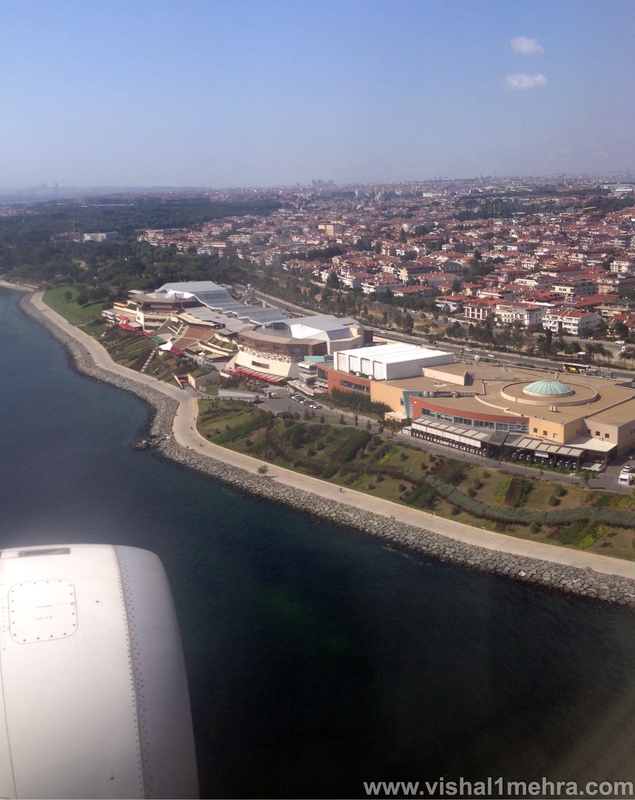 We finally rotated into Turkish skies around 2030 hours local time, the views of the city and the sea were terrific. After only about 9 minutes the crew was back in action and serving “Turkish delights”, a local savory which I never seem to get enough of. and Rightfully so. Another 9 minutes later, a crew member came by my seat to give the Economy travel kit. It consists of a pair of socks, earbuds and an eye patch. For an economy cabin, this is a pretty decent offering. Another 8 minutes passed before we were handed out our Dinner menus. 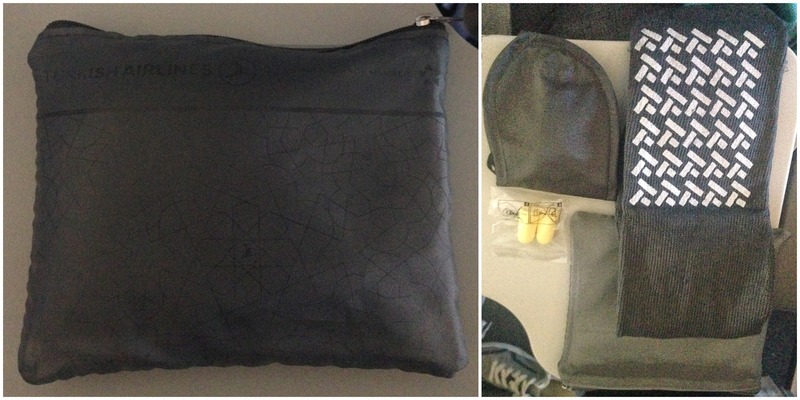 For Turkish Airlines to do this is indeed very thoughtful, even on a medium haul five hour and forty minutes flight. The planning for these services seemed done to the T. As a traveler, I appreciate this more because being a red-eye flight I would want the “mandatories” to be done as soon as possible to get some rest before an early morning arrival in New Delhi. Of course it also helps the crew in their time/work management as well, So its a win-win. The vegetarians on the flight had two options between Aloo-Gobhi and Channa Colaw Paneer as their main, and from my conversations with fellow passengers, they certainly were the better tasting dishes. The final service for the flight was done 3 hours into the flight and about 2:30 hours before landing as everybody was given a small bottle of water. I don’t know if the crew was waiting for this only to dim lights as they were turned down after this round. 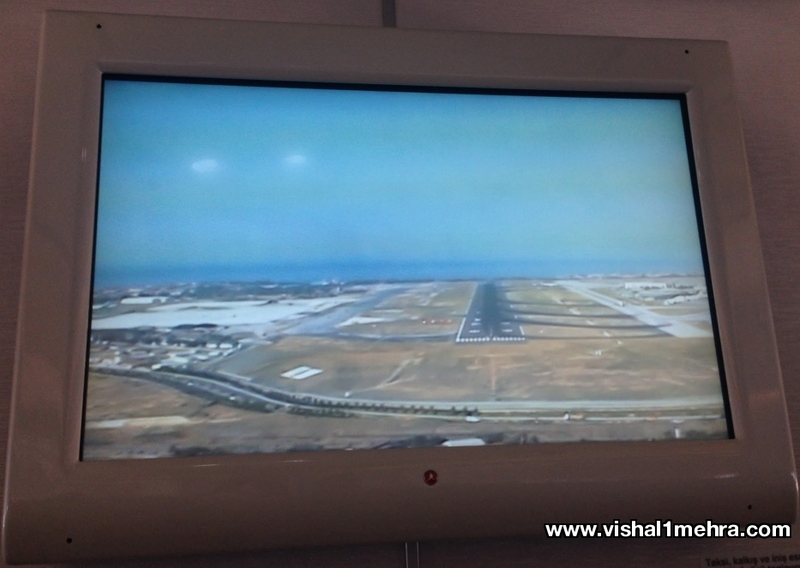 Our scheduled arrival into Indira Gandhi International Airport Terminal 3 in New Delhi was 04:20 hours, and we touched down with a slight delay of 15 minutes. The Long taxi from the runway to the gate meant we could only alight after another 25 minutes, marking a happy end to my trip through Scandinavia and Northern Europe. As we exited the SAS Business Lounge, there were still 15 minutes to go before the scheduled boarding start of our flight to Istanbul. 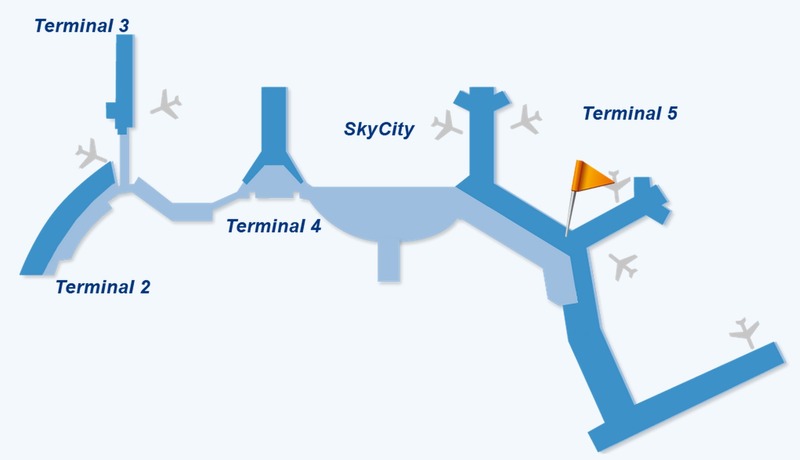 I figured that even considering the long walk to the gate, we would do just fine. 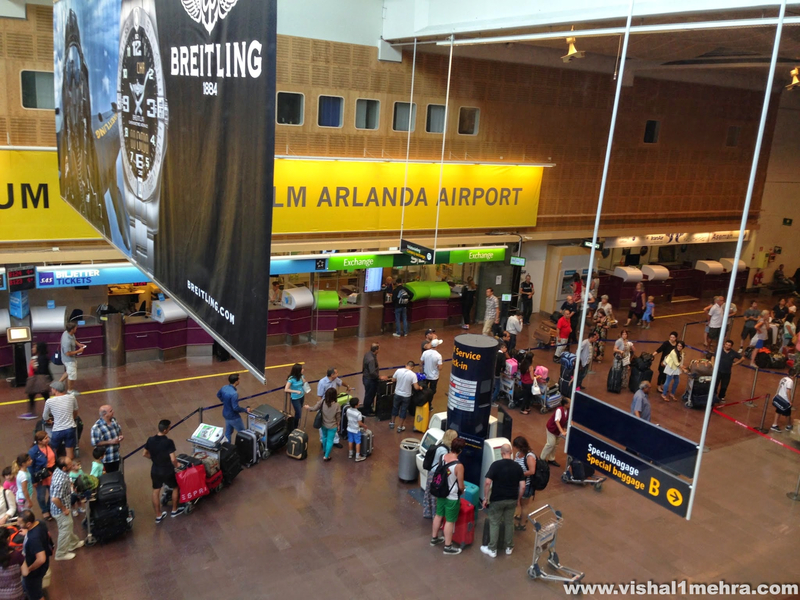 Stockholm Arlanda has passport control counters just before international gates, which should not have been a problem per say, but when you have just one agent manning an entire plane load of mostly non-EU citizens, that is a big problem indeed. 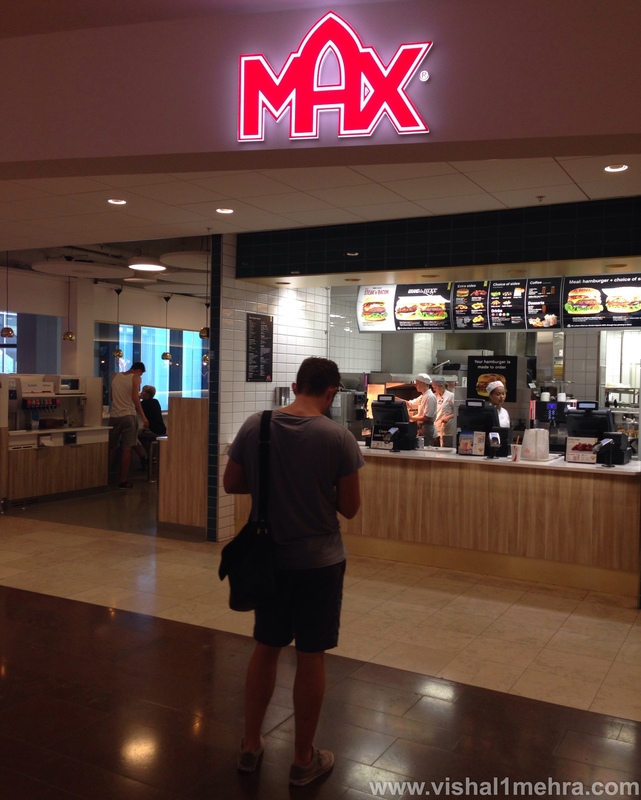 Seeing the way our queue was moving, I decided to make a quick run to the famous Swedish hamburger chain, MAX. Now, if you know me, you know I love my hamburgers and I love trying out all of them, so I was pretty certain of letting this opportunity go. After asking airport staff, I was finally able to track a MAX & ordered a classic takeaway meal for myself. 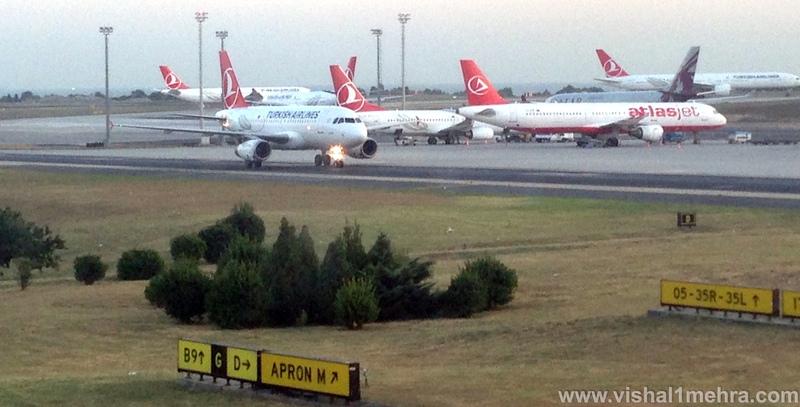 I ran back across the terminal to find my family and some other passengers in a new side-queue that ultimately was merging, into the original queue itself, started after last calls of our TK1794 flight by the Turkish Airlines staff themselves. Oh crap! Another surprising element to this entire mis-management was absence of any dedicated section for passengers travelling in business. Ultimately after lots of hustle, and nasty stares, we made through the mess and were one of the last ones to board the aircraft. 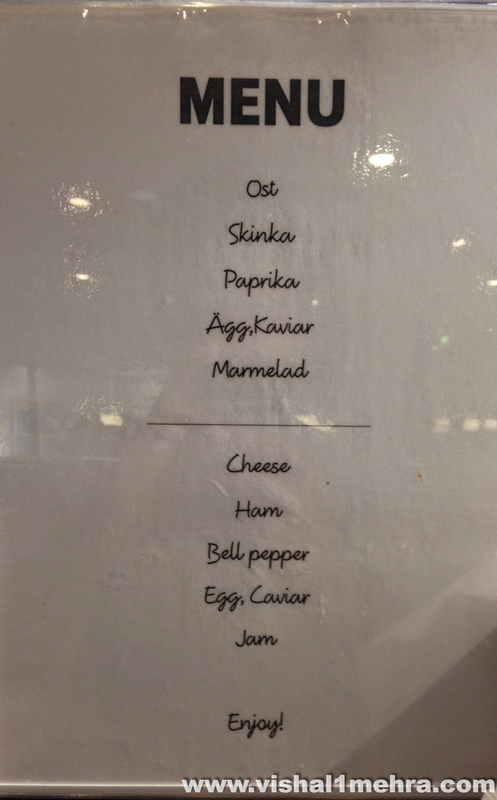 This experience at Arlanda was probably one of the least convenient bits of our entire Scandinavian trip and something the airport management definitely needs to re-think. We were among the last group of passengers to board the aircraft. 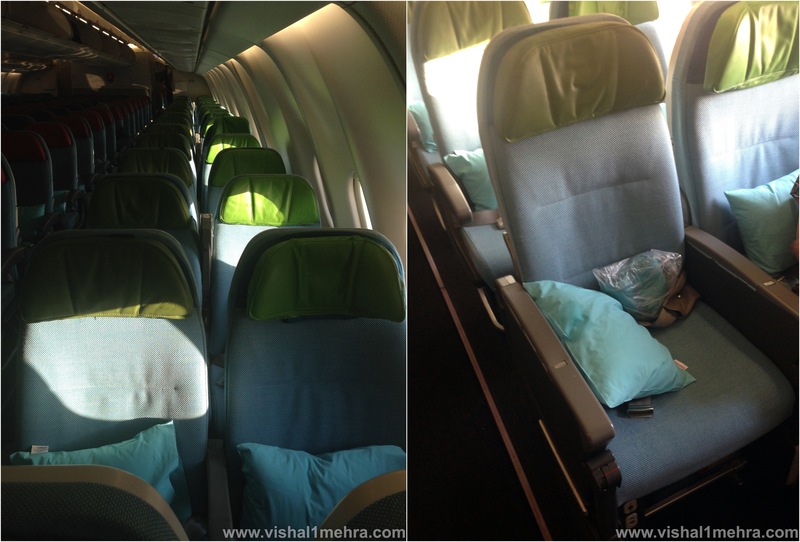 The business class consisted of the traditional 2-2 layout, with approximately 50% occupancy in the front. Interestingly, it had no seat-back IFE, rather passengers were supposed to get their screen out of arm rests, which I always find more tedious and inconvenient for many reasons. 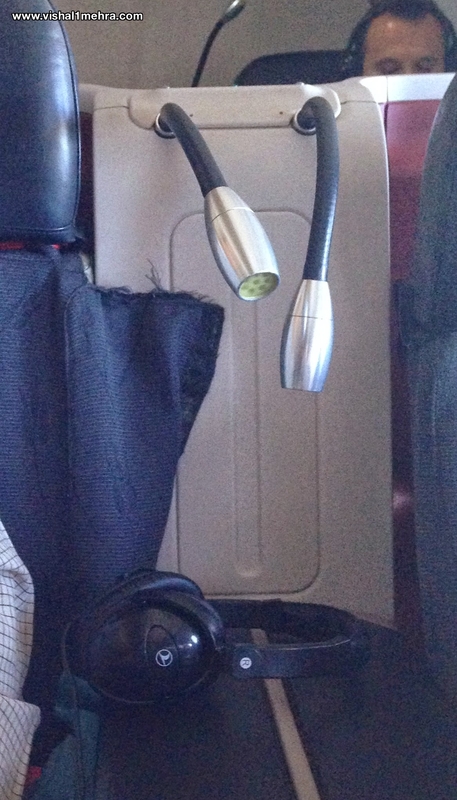 I also found most seats in business class were clearly worn out and in quick need of a thorough makeover. There were tears and smudges across the cabin seats. I moved to my seat 10A, in the bulkhead row. Who doesn’t like extra legroom, right? Economy had much better loads on this flight with occupancy of almost 80%. The legroom for a short haul flight was perfectly acceptable although I missed having a footrest on this aircraft, which was on our flight from Istanbul to Zurich. That could also be due to the fact that I was in Bulkhead row of course. Our scheduled departure was at 1145 hours, but we started pushing back around 1152 hours, which I thought was pretty acceptable considering the mess at the Passport control. Soon we lined up and were up and airborne by 1201 hours. 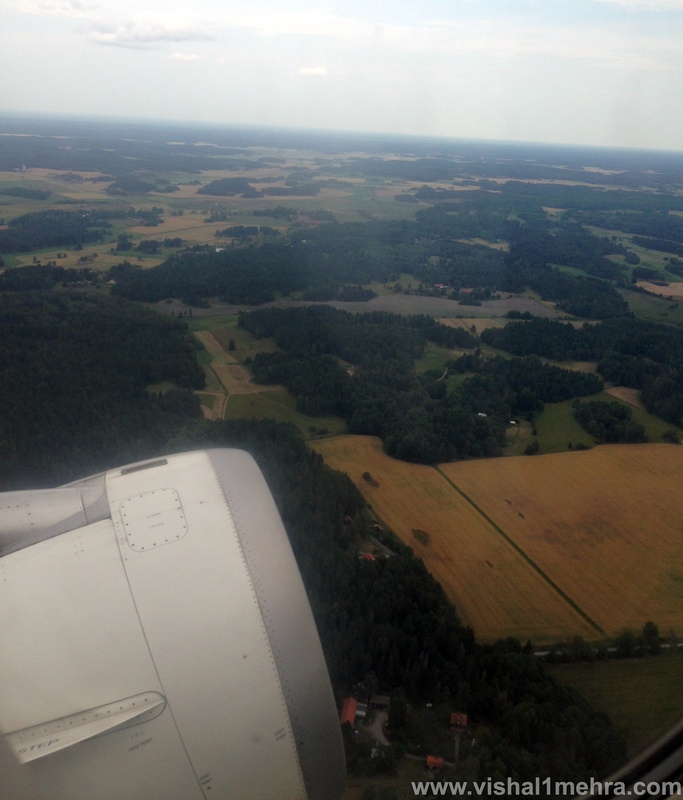 The view from the window looked serene and peaceful, perfectly matching with my overall view of Scandinavia. 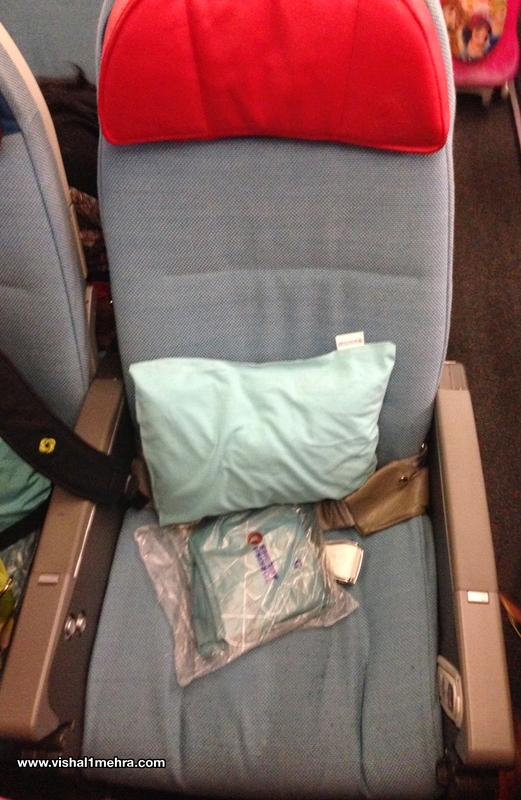 Unlike Business, all economy seats featured seat-back IFE. I’m a firm believer of looking out of the window for the perfect IFE, but for whatever its worth, I do enjoy my constant dose of moving map. Based on my little interactions with the IFE system, I found it to be having a good enough mix of entertainment across the board. However, one of the weird things was which got my attention were various cracks near the bottom right of the screen, where the USB port should have been. This was consistent across the cabin, wonder why! Another thing I want to note here is almost a complete lack of English language on the map screen, which mentioned outside temperature, ground speed, estimate time to arrival etc. Of course Guesstimates started working pretty well after a while, but being an international airline, Turkish Airlines should have sorted this silly issue a long time ago. Service on all our Turkish Airlines flight was perfectly efficient without being overbearing and this flight was no different. Within seven minutes of being airborne, the crew started servicing the legendary Turkish delight. Have I mentioned in the past that I can never get enough of that terrific treat? Lunch menus were distributed in the cabin after 5 minutes, always a good touch rather than making the cabin crew utter names of dishes and explain them at every seat. 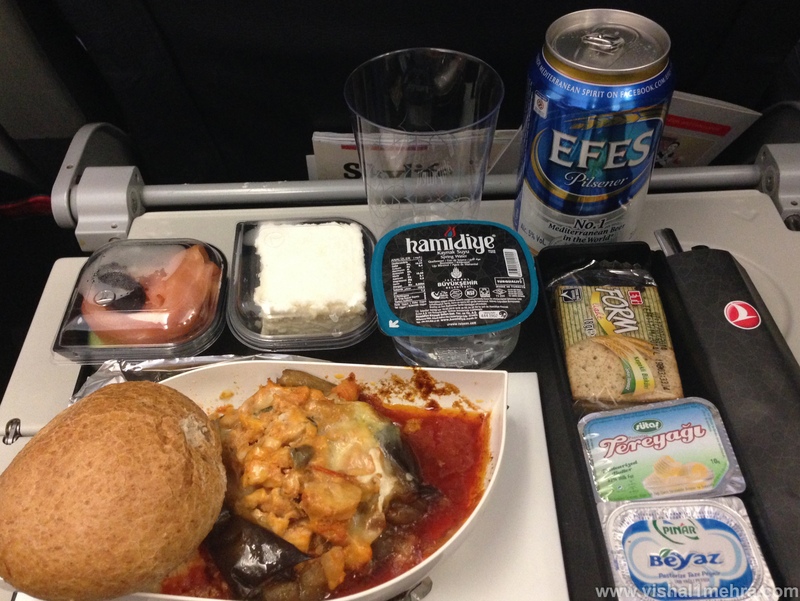 For this flight, I chose to order “Billur Kebap” as my main selection, accompanied by a cold can of Efes Beer. Lunch was served an hour into the flight, and my tray came with Smoked Salmon, Warm Bread (served in the second meal round), cheese cake, crackers, cheese and some butter. Thanks to my Max hamburger meal earlier I wasn’t really hungry, which also meant I could judge the taste of the food objectively, without getting lost in my hunger emotions. As I have said before, I appreciate Turkish Airline cutlery in Economy class, which is faux-steel, but not cheap like regular plastic. I enjoyed my meal, even though the presentation wasn’t of the highest quality. The chicken was tasty, the salmon was well smoked and prepared, and so was the cheesecake. The crew served Tea/Coffee post meal, which was of little interest to me. 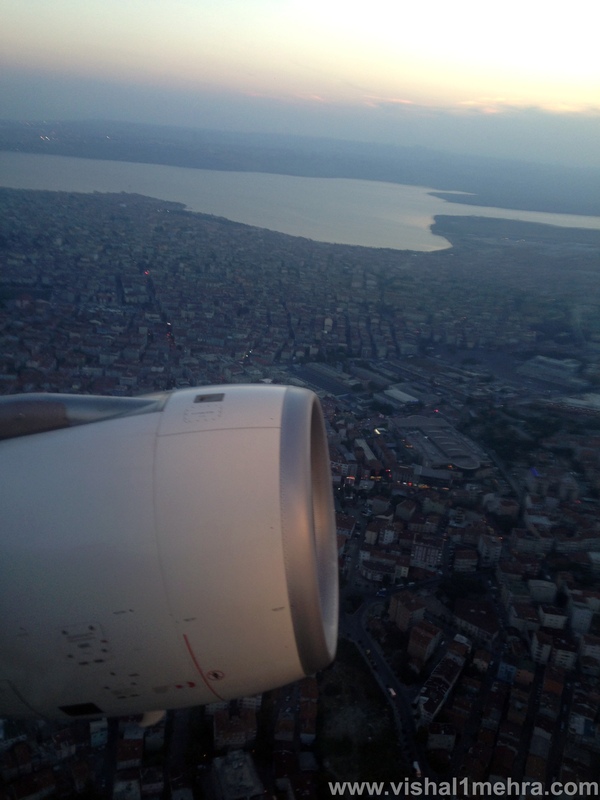 I used that time for some shut-eye before our descent into Istanbul started. 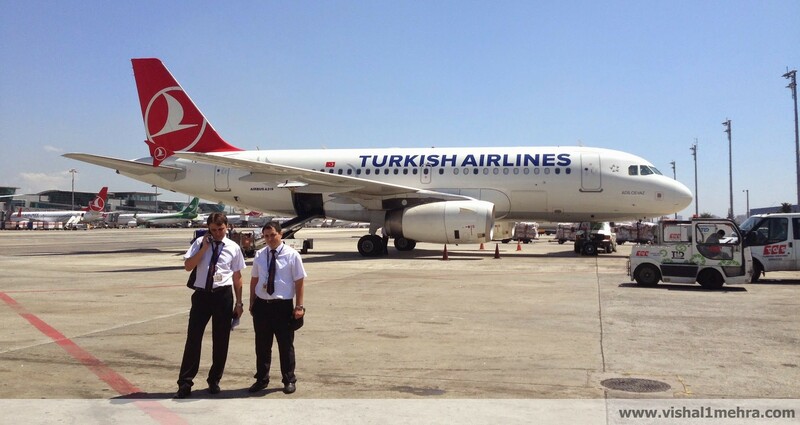 We landed at Istanbul Ataturk Airport around 1604 hours local time, and parked remotely at our stand by 1614 hours. The cabin crew on our flight was respectful and courteous and I thought they were attentive to passenger needs. We got into our Turkish Airlines bus to enter the terminal and the driver drove the bus like his a$$ was on fire. I frankly thought his driving skills were unacceptable for an European airline, which may or may not have been borderline acceptable in South Asia. We entered the terminal around 1629 hours and I immediately realised I had left one of my shopping bags in the aircraft overhead bin. The customer service teams in Istanbul airport were clueless how to retrieve it and after spending 25 minutes on it, I decided to let it go. And decided to take the refuge of Turkish Airlines Lounge at Istanbul, before my flight home to New Delhi in roughly three hours. There’s no review of the lounge on this blog, as there are plenty of detailed reviews for this excellent lounge already, which has now become even better with an addition of a lower floor and more space. 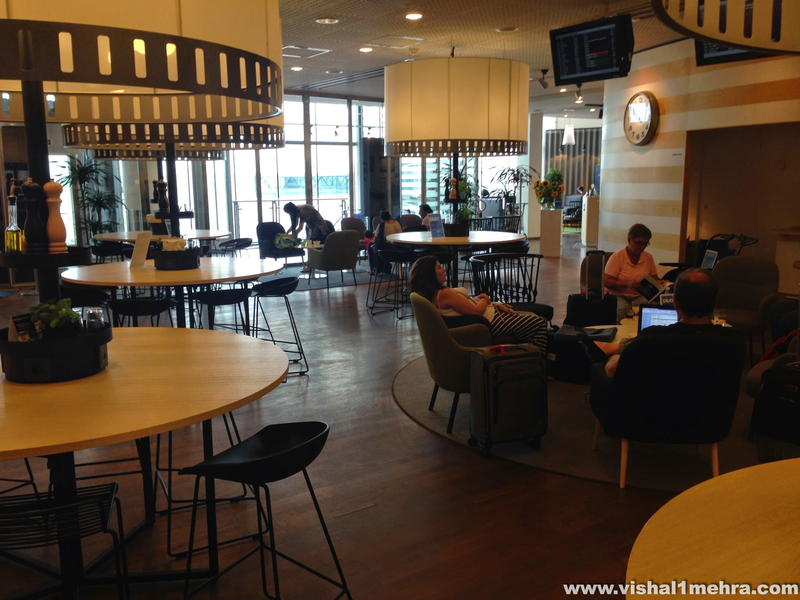 Our flight from Stockholm Arlanda to Istanbul was scheduled to depart at 1145 hrs, so after having breakfast we decided to check out of Hilton Slussen at 0800 hrs to have enough time to experience SAS’s Business Class Lounge at Arlanda Terminal 5. My family got a taxi from the hotel, while I preferred to catch the nearby metro to Stockholm CityTerminalen. 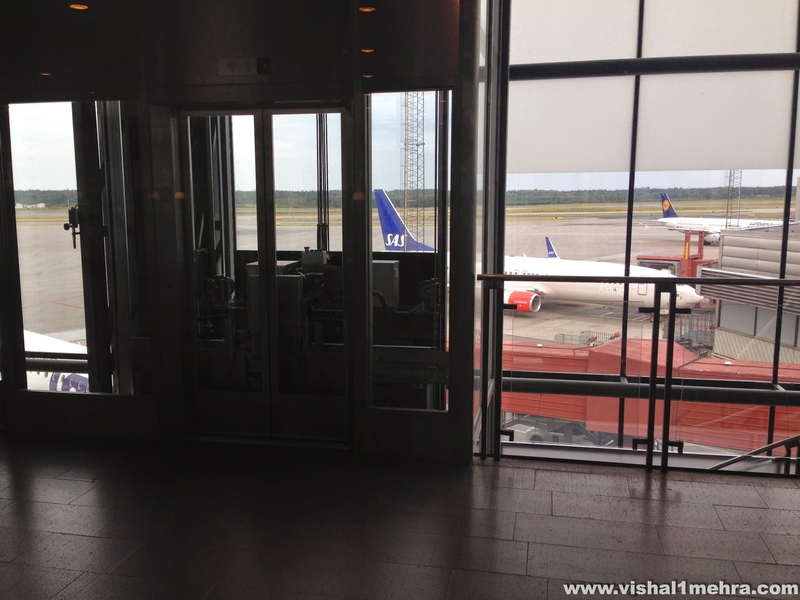 We were hopping on the FlygBussarna to Stockholm Arlanda and the City Terminal was the nearest stop from the hotel. There’s a coach every 10 minutes, with “Free Wi-Fi” – useless for those who don’t know swedish language or have a local phone number. I thought that was a big let down and defeated the whole purpose of Free Wi-Fi for travellers. The website says no login is required but I can assure you of its lie. Nonetheless, the journey was otherwise comfortable and the bus dropped us in front of Terminal 5 in about 45 minutes. 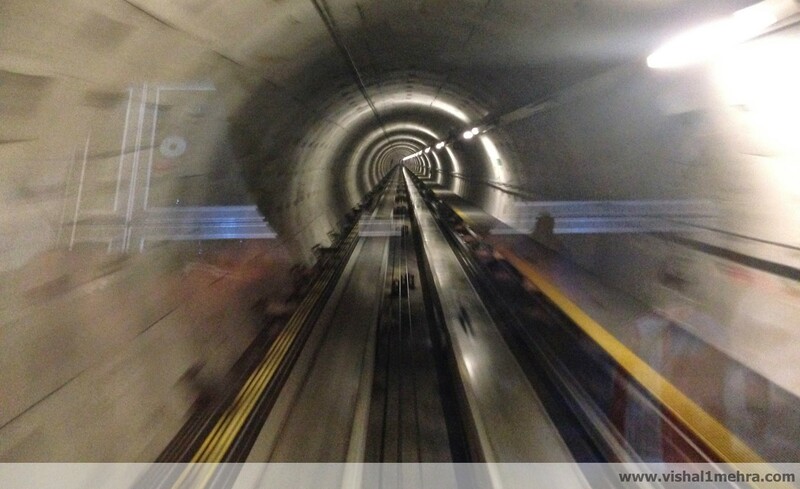 I had bought my tickets via Viator at 10% discount. We quickly found the Turkish Airlines counter, and fortunately, the business class counter was free, while the economy counters had about 20 odd waiting passengers. Advantage of flying with business class passengers, even though I was traveling in economy I guess. Though I found it strange that I had inserted my Jet Privilege number already while checking-in online, it was somehow not showing up at the counter. Overall it was a quick and courteous check-in for us and we were off to security. 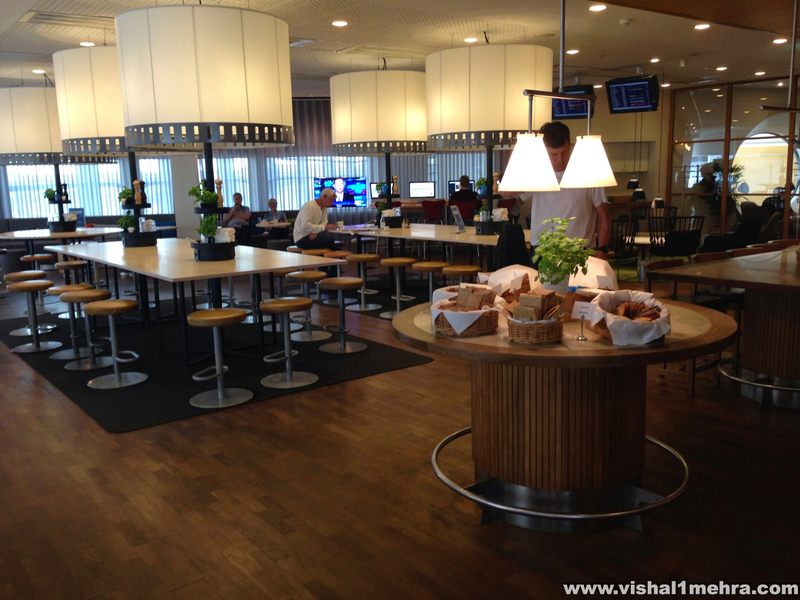 Call it the Sunday morning effect, but even security at Arlanda was efficient and quick. There were no preferred lanes for business class passengers, and in spite of that we were done in 5 minutes flat. 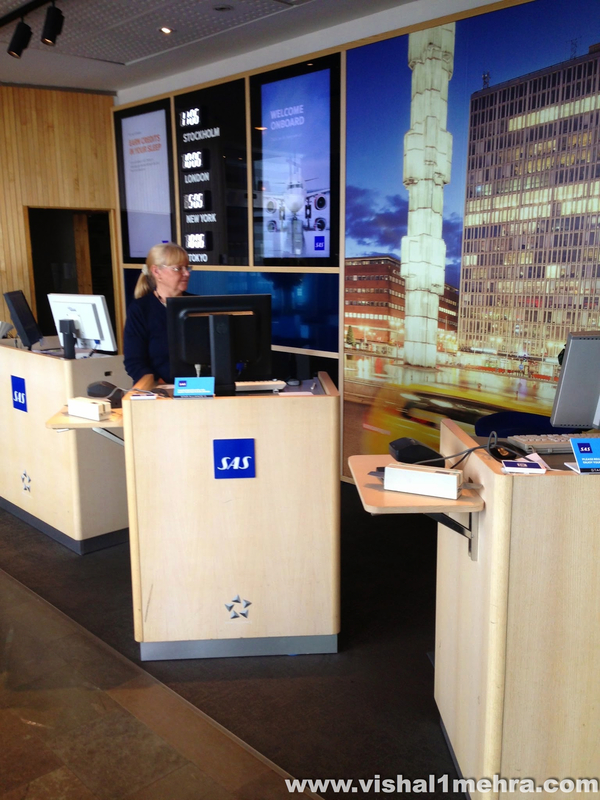 The security folks were respectful, like most of the people we encountered throughout our Scandinavian trip. Arlanda Airport seemed to be pretty well functioning. I thought it had pretty much all essentials for travellers. Sure, it wasn’t the Changi or the HKIA of the world, but for a mid-tier European airport, it ticked pretty much all boxes in my book. Including great tarmac views from urinals. This is much better than those stupid little screens you see where they play useless commercials or try to be funny. We searched for over 10 minutes trying to find the signage for Lounge and ultimately had to ask one of the airport employees. 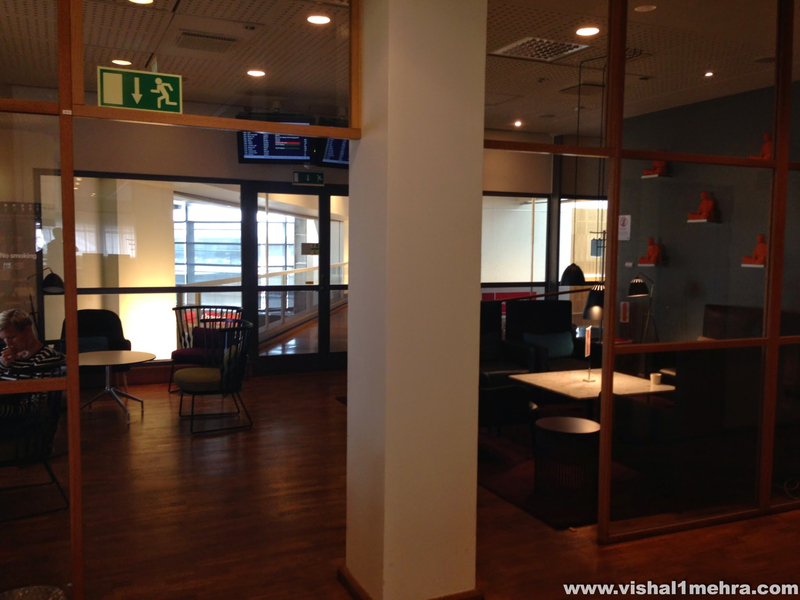 The SAS Business Class Lounge is located pretty far for non-Schengen gates, and it was almost a 12 minute walk to reach the lounge. 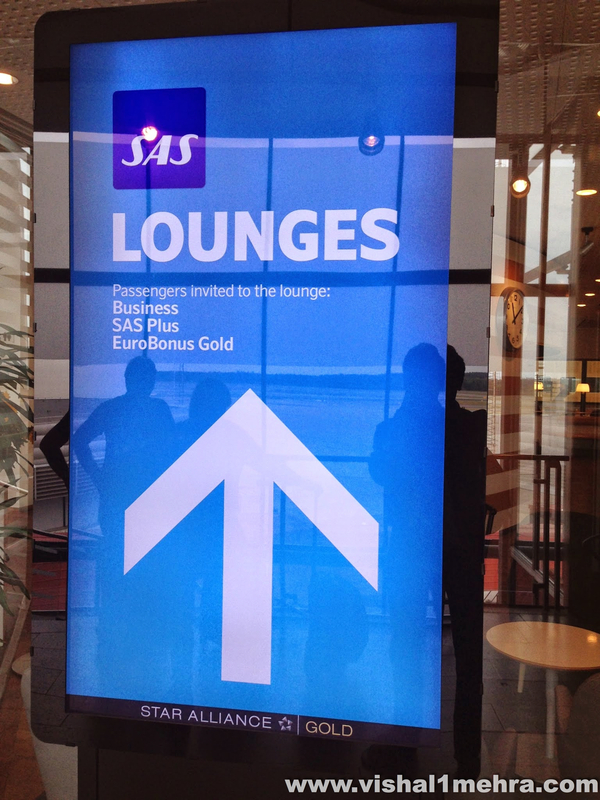 The SAS Business Lounge is open from 0530 hrs to 2300 hrs, Monday-Friday and Sunday. The Lounge timings are 0530 hrs to 2030 hrs on Saturdays. The Access for the lounge is open to passengers holding Star Alliance Gold Status with same day flight on an Alliance carrier. Also to, SAS Gold card members with SAS or partner airline flights and Business/First Class ticket holders travelling on a Star Alliance carrier flight. As we were flying Turkish, a Star Alliance Member, the lounge reception staff warmly welcomed us. 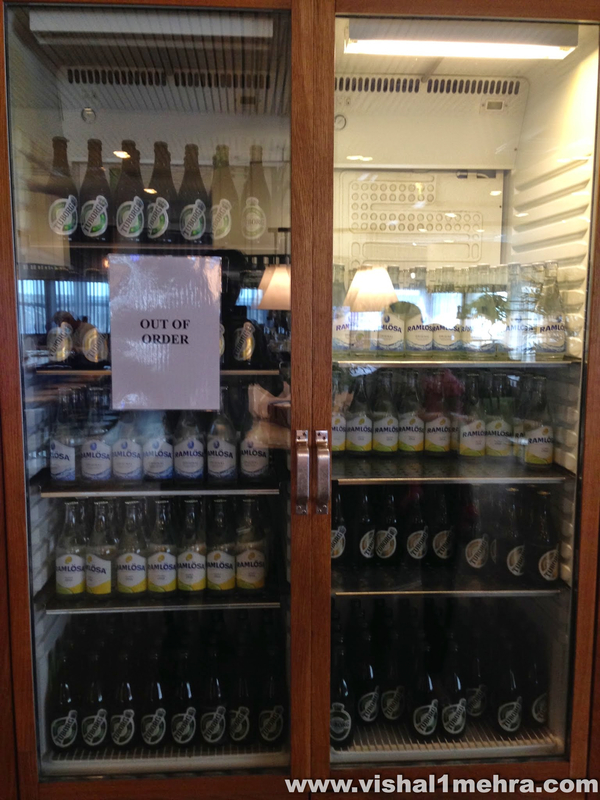 We entered the lounge around 0940 hrs and the staff was in the process of setting up food items. The selection wasn’t fully served till 1010 hrs. The first impression of the lounge is quite fancy, and modern with its furnishings and decor. 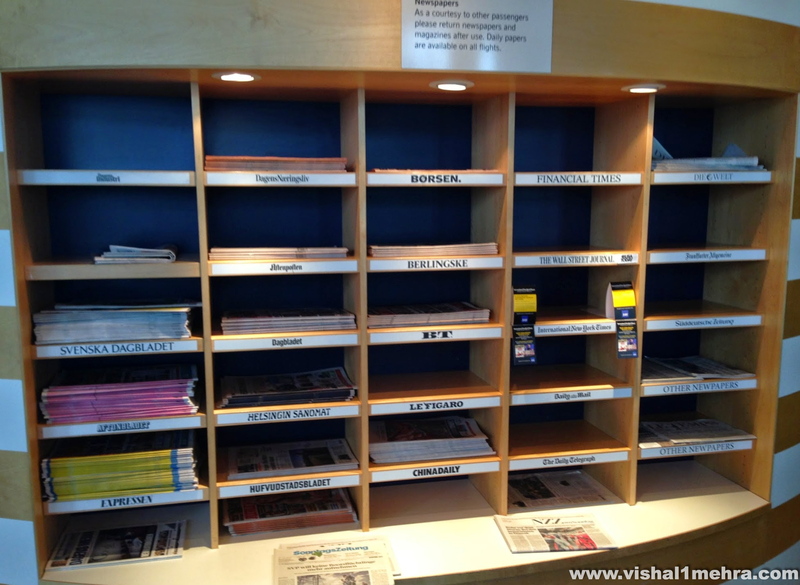 On the immediate left, a big compartment of major world newspapers is available. Financial Times, Wall Street Journal, New York Times, Daily Telegraph, along with Time Magazine was some of the major ones. There are plenty of seating options across the lounge, with a mix of sofas, lounge chairs and bar stools. There are more seating options in the back with convenient access to power ports, overlooking the arrivals section of the terminal. There was a 40 inch television screen with local news on one side of the lounge. The breakfast cold buffet spread was middle-of-the-road in my book. 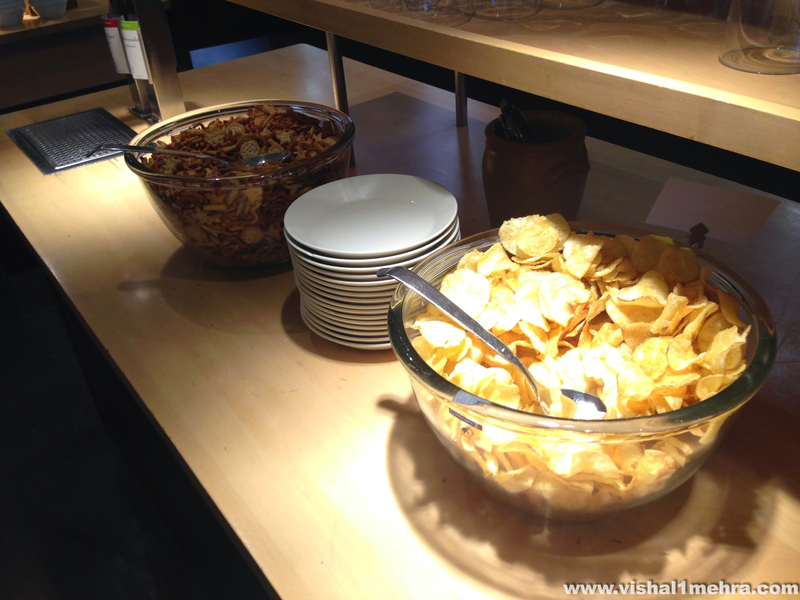 Apart from a selection of breads, there was ham, condiments, biscuits, chips, greens and salad sauces. For those interested, the lounge even had a menu on display, which displayed part of their selection. The drinks selection was slightly better for me. 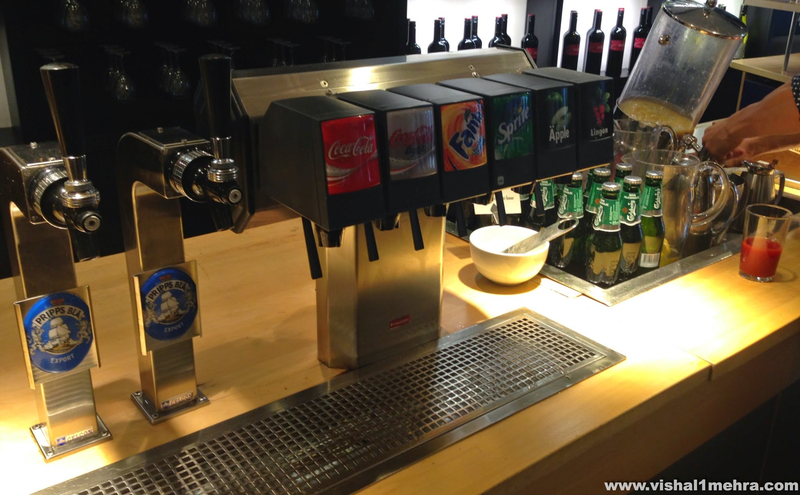 Apart from tons of Carlsberg, the lounge offered Apple and Orange juice (which kept running out), selection of tea, local beers on tap, couple of red & white wines on tap, along with the Coca-Cola family of soft drinks. The lounge also boasted of couple of coffee machines (which I never tried), one of them was dedicated to serving organic coffee. 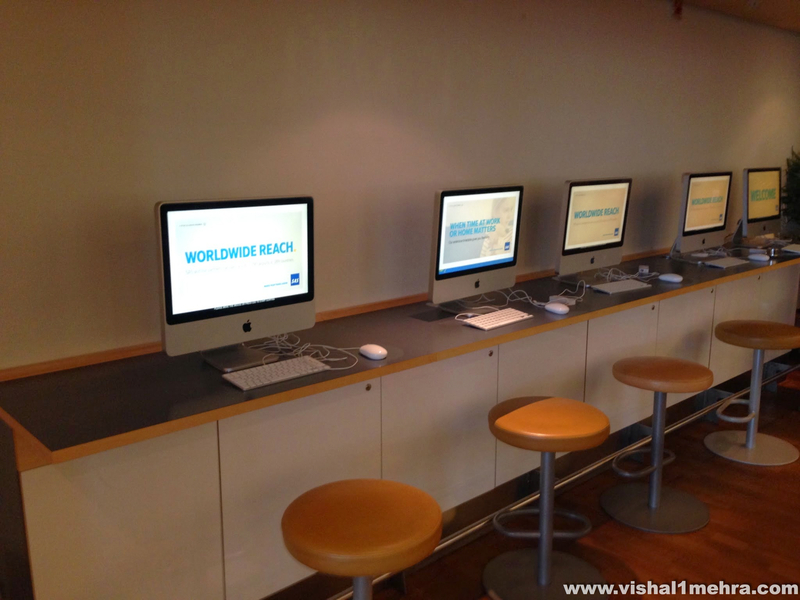 There were total of 5 macintosh computers with working Internet connections in the open business area of the lounge, along with printer/copy and fax facilities, which I thought was a pretty reasonable arrangement for those who still value such facilities. Needless to say, the lounge had a working wi-fi connection for private use as well. In my roughly 45 minute usage, I found it had decent download speeds, enough for a traveller/executive on-the-go. Though far from optimal if you are looking to stream HD content. One of the things, which stood out for me in the lounge was the small yet dedicated kids play area in the lounge. 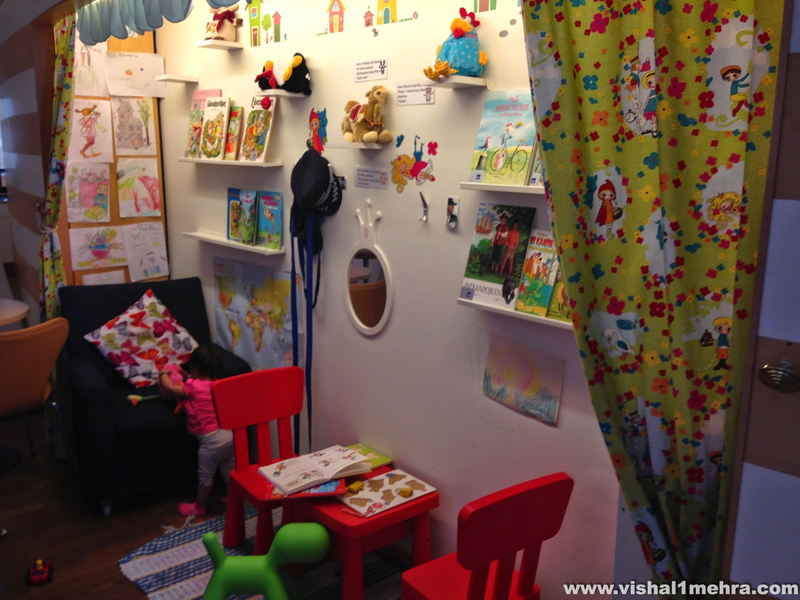 Apart from story books, it had plenty of soft toys to keep the little ones engaged. The walls also featured graffiti and drawings done by past occupants of the area, which I thought was a great touch. For families traveling together, play areas can be great comforting zones and I wish more airline and lounge operators incorporated it in their planning process. The rear portion of this side of the lounge featured a more private, cordoned-off area, which I guessed could be designated as a quiet zone or a meeting area, depending on the occupants. The lounge unfortunately had no tarmac area views, barring the entry area, which has partial and hindered views of the tarmac and the runway in the distance. I was able to snap a close-up picture of a LOT aircraft on our way out. Although I would like the Lounge to improve its cold buffet selection, may be adding a hot item could do the trick or maybe that’s just the hot-breakfast-loving-Indian in me talking. We left the lounge around 1040 hrs for our flight at 1145 hrs. I thought we would make it comfortably to the gate, alas I never knew what was in store for us next at the Passport Control. 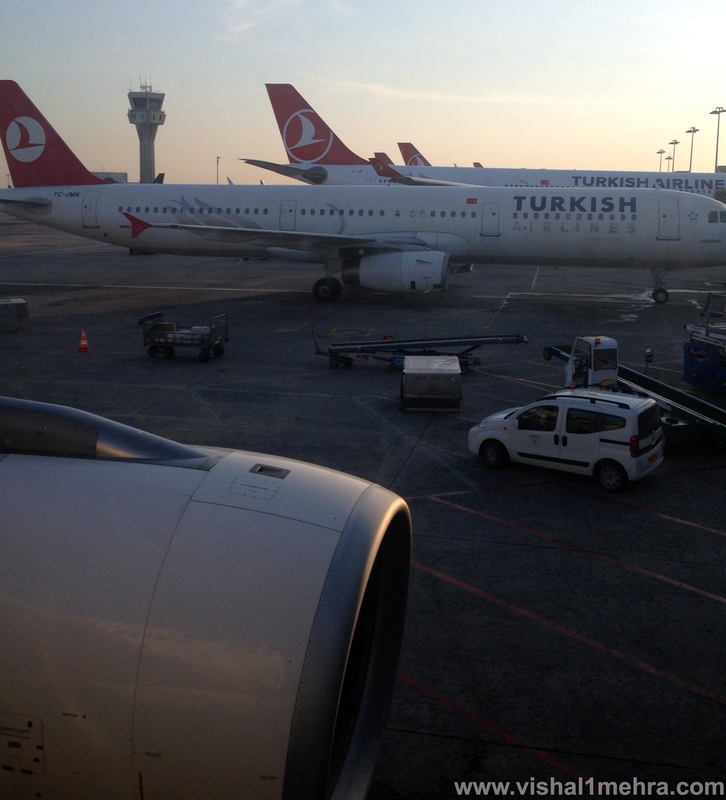 After a quick pit stop at the Turkish CIP Business Class Lounge, we headed to our gate. As is the case, when traveling with family, it was last call when we reached our gate, 504, to be bussed on to the aircraft. I picked up couple of English newspapers on the gate for my reading later on. Personally I won’t mind a remote stand boarding as it affords one the opportunity of checking out other aircraft on the tarmac. But traveling with family is a different ball game altogether. It’s hugely inconvenient and considering the fact it was merely 90 minutes of connection, surprising too. The cabin crew welcomed us on-board cheerfully and as is the norm these days in Intra-Europe flying, the Business Class was the usual row of seats, with a blocked middle seat. 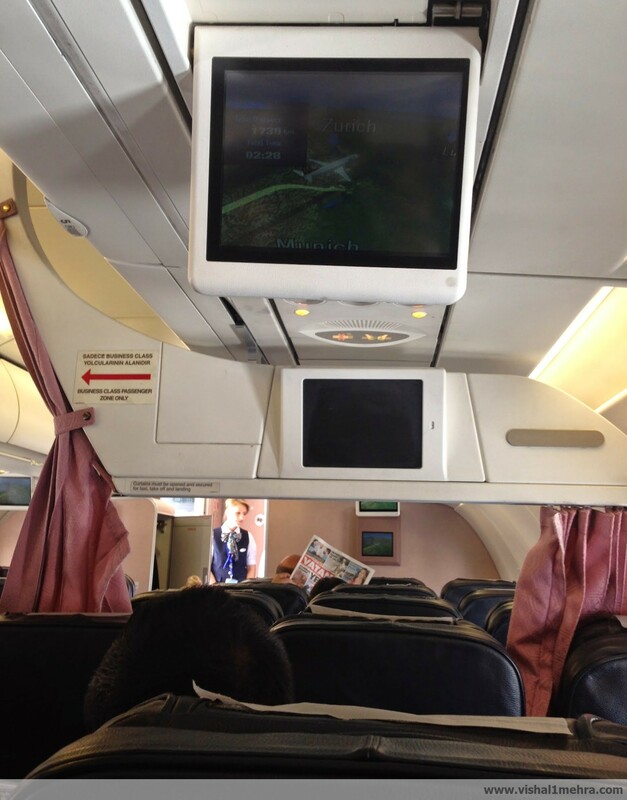 I headed back to my seat in the Economy cabin. The first impressions of the leather-clad seat were positive. It had a comfortable width and enough legroom for a short haul flight. We had the flexible seat configuration divider a row ahead of us, and none of the seats featured personal IFE. There was however a large overheard screen that had the moving map, along with some other entertainment programme in-between. We started out push back from the gate at 1147 hrs, 2 minutes behind schedule. 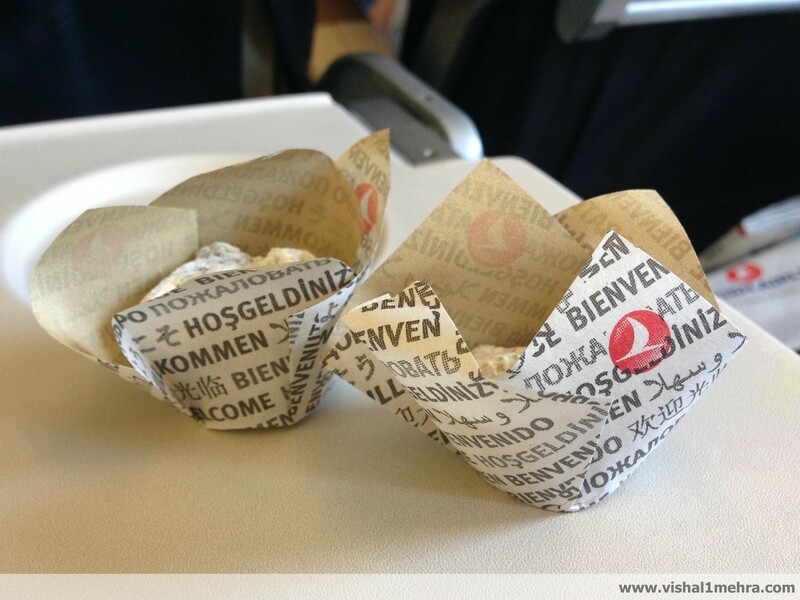 At this time, the entire cabin was served Turkish delight sweets. Can never get enough of that delicious savoury. On our way to the runway, I witnessed some interesting aircraft, ones I don’t see often in my part of the world. 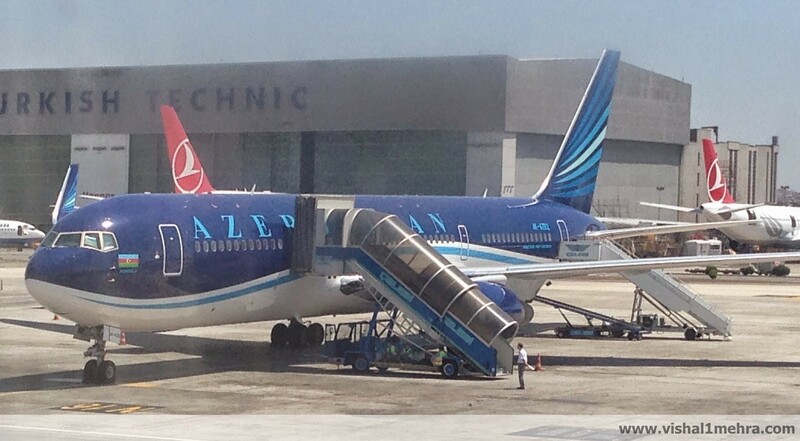 And of course plenty of Turkish Airlines aircraft, in proper livery. After taxing for about 17 minutes, we were third in the takeoff line and soon we were zooming across the runway, and airborne exactly at 1205 hours. Istanbul always offers great views during ascent and this occasion was no different. Our cabin crew got into action soon after take off and menus were distributed within 5 minutes. 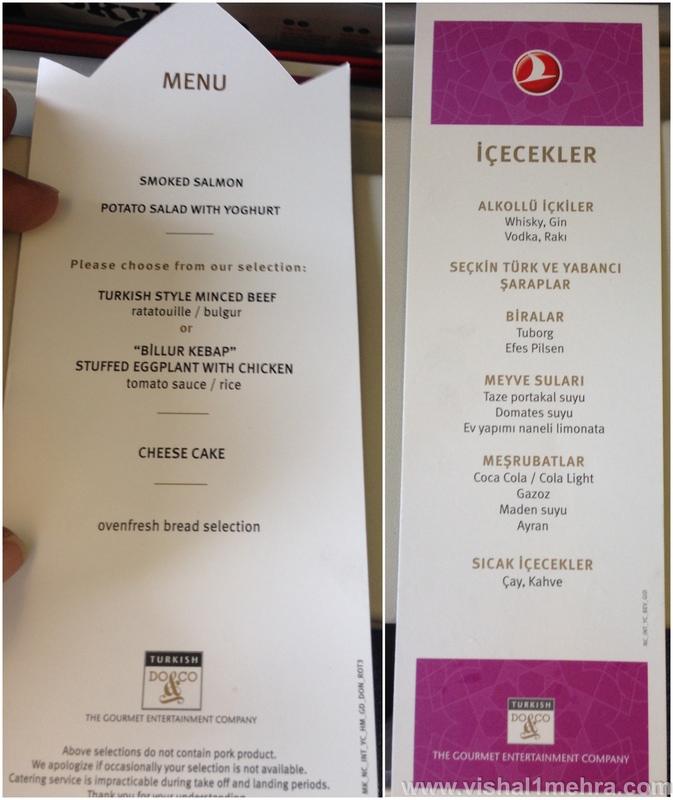 I thought that was a great touch by Turkish Airlines, considering it was a short haul, two and half hours flight. Earphones were also offered but I chose to skip them. After another 20 minutes, meal service for this flight began. In my main selection, I went with Chicken Skewer with Arabic spice, along with sauteed leaf spinach and rice. Smoked Salmon and Vanilla Panna Cotta were the accompaniments, as well as hot bread. For my drink, I of course went with a can of Efes. 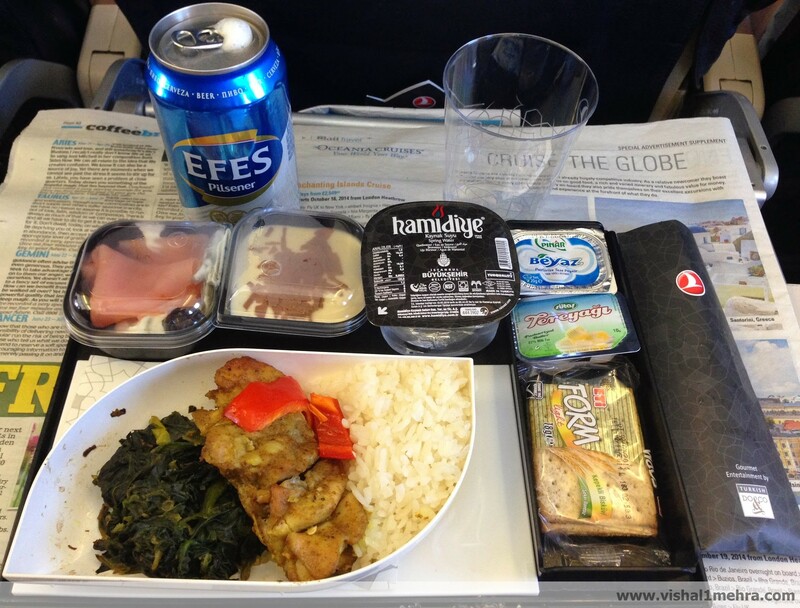 I must also point out that the cutlery which Turkish Airlines gives is this faux steel, which is not as down-market as plastic offered on many international airlines, and not proper steel cutlery as well. 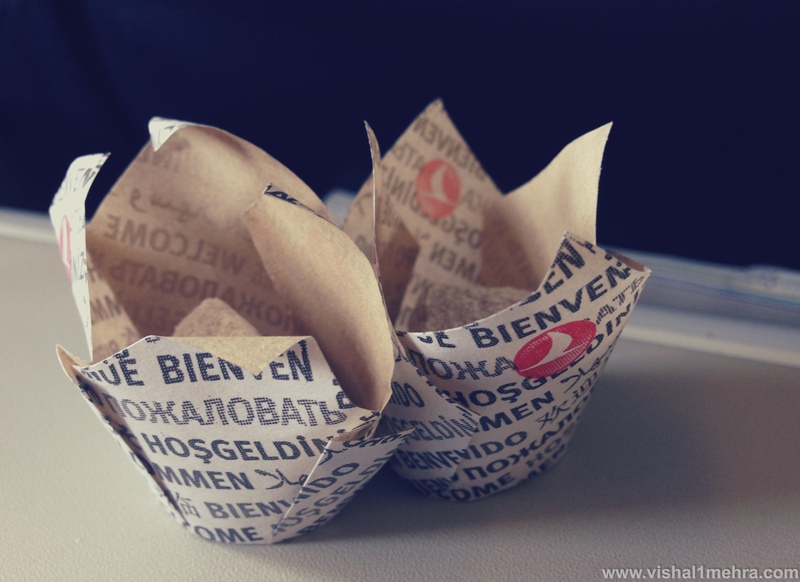 It is pretty reliable for stand-alone meals, without making an economy class passenger feel miserable about their food. I started with warm bread and butter. Call it whatever you may wish but there is something special always about having hot bread with butter. It’s an unbeatable combination, which is always satisfying for the soul. I’m a simpleton like that. The salmon was also done well, where as I left the cheese and cracker combination untouched in the tray. To say I was mortified, would be putting it just right. 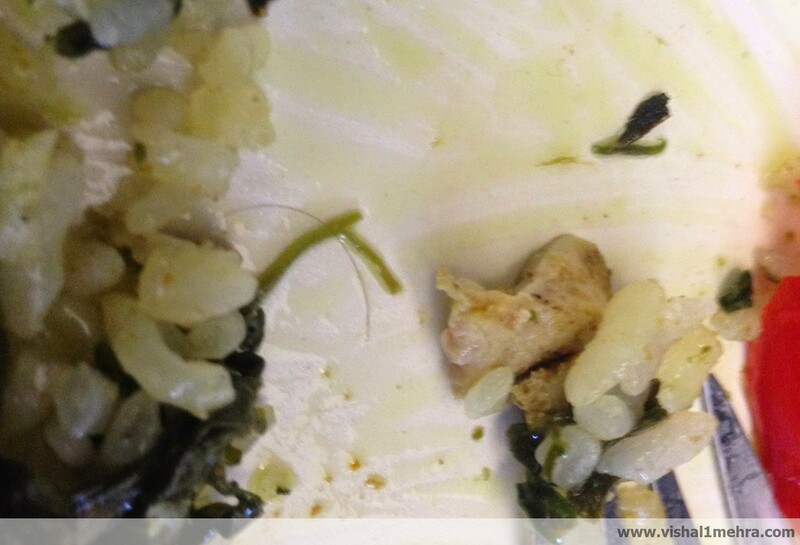 After clicking this picture, I called one of the flight attendants and showed her my meal. She was profusely apologetic and took away my meal tray. 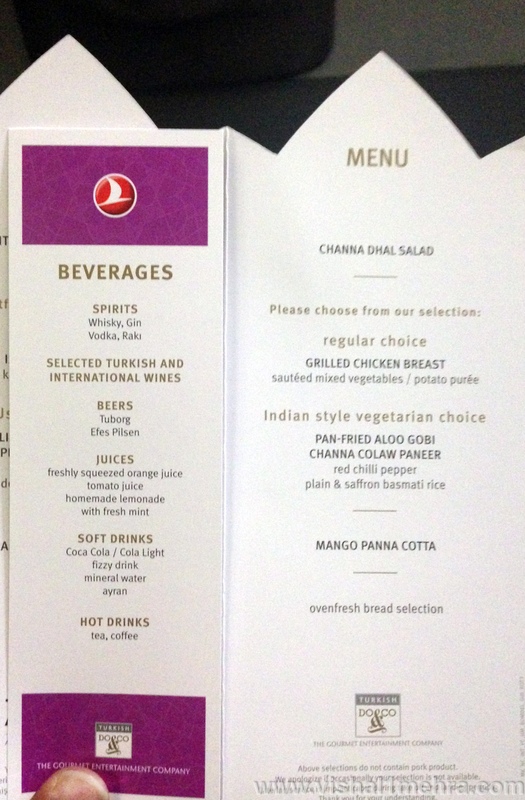 The flight chef came over after few minutes, apologised and offered me lamb chops or anything else I wanted from business class menu. I politely refused and accepted their apologies. The head flight attendant also came by my seat and I requested her to have a word with their catering team later on. She nodded and promised to look into the matter. There was of course Vanilla Panna Cotta and I gladly gobbled it up. For an in-flight dessert, it was quite well done. As I finished my dessert, one of the flight attendant brought me a platter of fruits, presumably for the hair-mess earlier. It was insisted that I accept this small gesture and I accepted it after thanking her. Some industry folks I had a chat with later advised me to “make a big deal” out of the hair issue and write to the management but I was quite convinced it was a one-off issue which should be left to them to investigate and correct. I could see in the crew’s body language that they were genuinely apologetic about the goof-up and that was enough for me to let it go. 45 minutes before arrival, the cabin was offered a round of coffee/tea as well. My favourite thing about landing at any of the swiss ports always is the heavenly views they bring just before landing. We touched down smoothly on time at Zurich Kloten Airport and exited runway quickly to our gate, and I was glad to come across couple of beauties during this time. 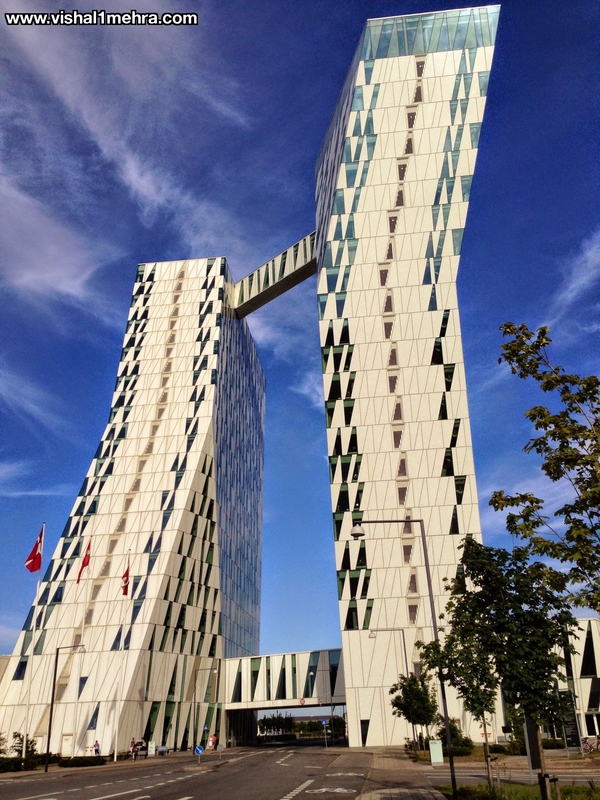 You may want to read the introduction for this trip report, Tripping through Scandinavia. We reached the Delhi Airport around 3:30 am, considering I was with my parents and did not want to rush them in the end. 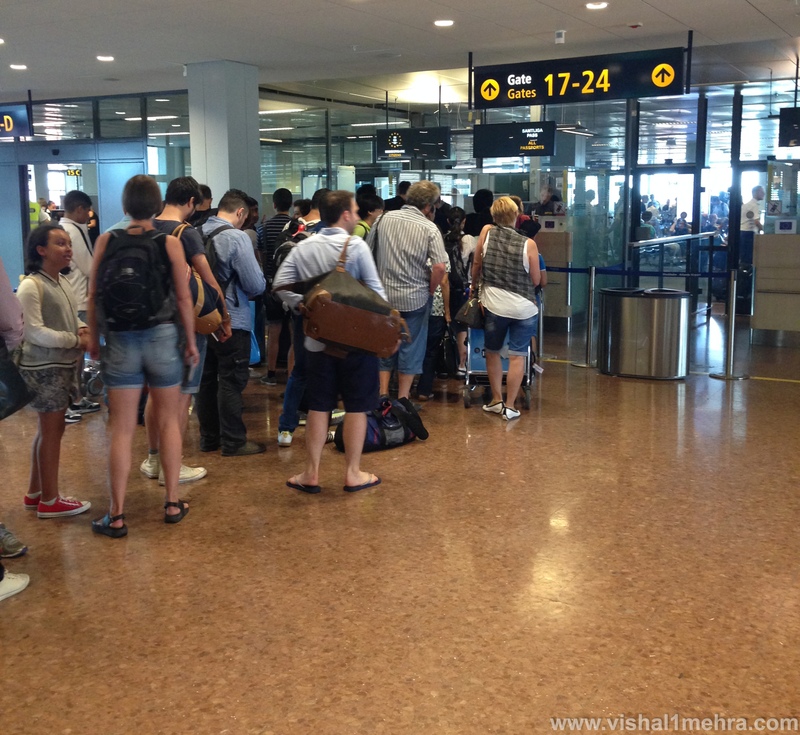 The economy counters had about 15-20 people waiting in queues whereas Business Class counters looked relatively empty. There were two counters and both of them had passenger’s checking-in. After about five minutes of wait we were attended at the counter. I requested the agent to credit our miles to JetPrivelege (Contributing to my target of next summer’s European holiday on award business class seats). Check-in process was smooth and we were all checked in to Zurich, through Istanbul. My folks were also handed their Plaza Premium lounge passes. Security and Immigration took another 15 minutes, mainly because the Immigration officer decided to tell us the advantages of traveling to Andaman & Nicobar Islands over Switzerland for a holiday. I actually appreciated his passion for domestic tourism and promised him that we will certainly consider for the next family trip. I escorted my parents to the lounge upstairs and then came back down to the Delhi Daredevils Sports Bar. After all, where else would you get a full buffet meal and drinks for Rs.2? All thanks to my Visa Signature card. We arrived the boarding gate around 5:15 am and boarded the aircraft pretty soon after that. 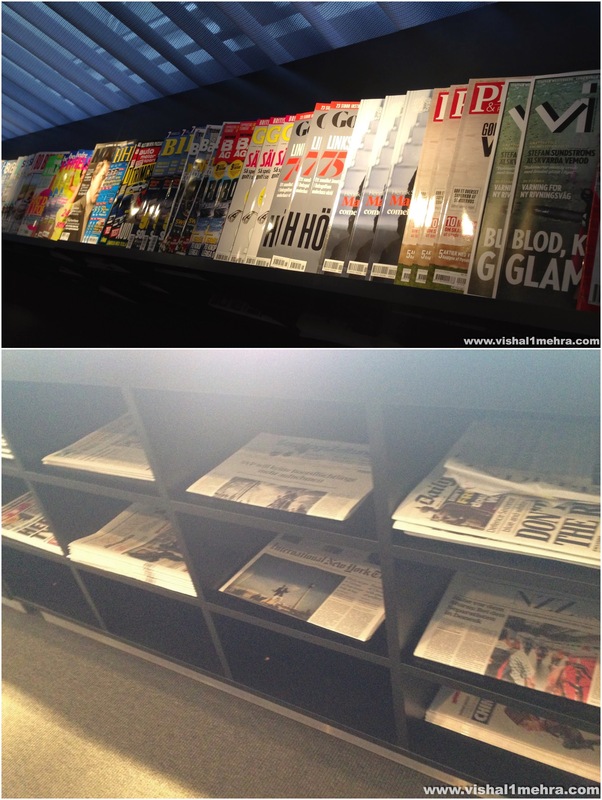 Turkish, English and Financial papers were placed on a cart just before aircraft entry and I picked couple of them. The cabin crew greeted us warmly, my parents were shown to the left and I turned right for economy “cattle” class. I was sitting in 6D, the very first bulkhead middle row. There was plenty of leg space, but I was wishing for an empty next seat, which eventually turned out to be exactly that. I absolutely love the 2-4-2 seating configuration, especially if sitting next to the window seat. Even though I was in the middle row for this flight, I wasn’t complaining. The flight was 75-80% full in economy class. The view on the left looked something like this. Besides the proximity to Lavatory and resulting commotion all the time, my other gripe with Bulkhead seats is placement of the IFE screen inside arm rests, which makes it inconvenient besides reducing the seat width slightly. I guess nobody has found a better solution yet so I’ll shut my rant now. Our flight started pushing back from the gate at exactly 0600 hrs and we were up and away within the next 8 odd minutes. Climb was smooth and soon seat belts signs were off. I also got to know that Turkish Airlines CEO, Mr. Temel Kotil was on the flight. 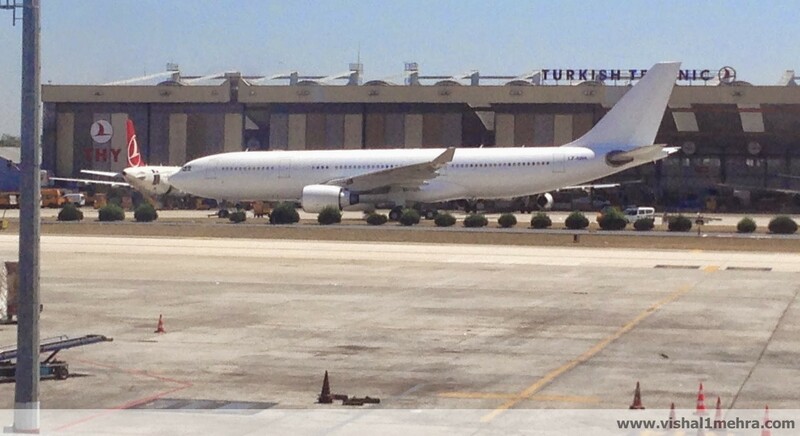 He was in New Delhi for Air India’s induction into Star Alliance the day before and was on his way back to Istanbul. The first service was the delicious serving of Turkish Delight. Can one ever get enough of it? The meal service started with pre-booked special requests. I had requested an Indian vegetarian meal for my parents and they weren’t impressed with their South Indian upma meal, as I got to know later. 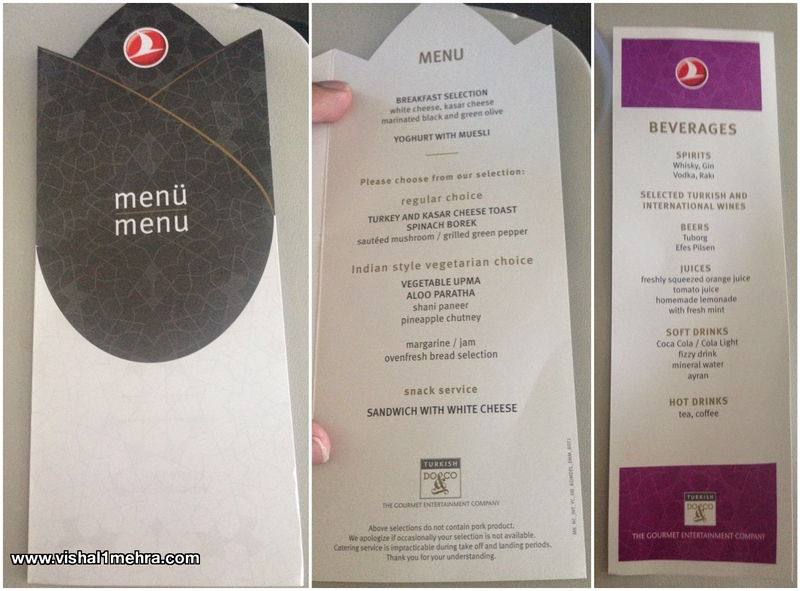 Economy passengers were given couple of menus for breakfast, which I thought was a nice touch by Turkish Airlines. 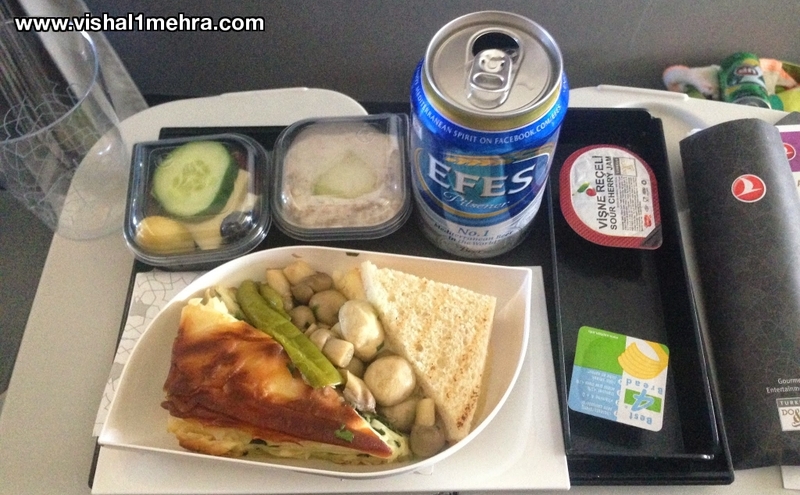 I went with Turkey and Kasar Cheese Toast along with “No.1 Mediterranean Beer” Efes. I loved the crunch of the Borek and thought it was well made. I pretty much skipped most of the other items as they just did not appeal to me. There was a round of Coffee/Tea and I politely declined the offer. After the meal, I thought of getting some shut eye and was about to press the call button for an eye patch when the attendant handed me an amenity kit pouch. It had a pair of socks, an eye patch and some ear plugs. Not bad, TK! I treated that, as a sign that even god wanted me to have some rest. How wrong did that turn out to be? After 40 minutes of battling with various sleeping positions I gave up and thought of visiting my parents in the front, make them feel guilty how their son was cringing in the back while they lay comfortably on their flat beds, etc. Expectedly, the seat was actually quite nice and had a foot rest just below the IFE screen, which doubled up nicely as a temporary settee. While they were telling me how uninspiring their economy class upma vegetarian dish was, I started noticing the upkeep of business class cabin. The fabric of the seat was completely torn from the seat and there were other elements of the seat, which were asking for attention. 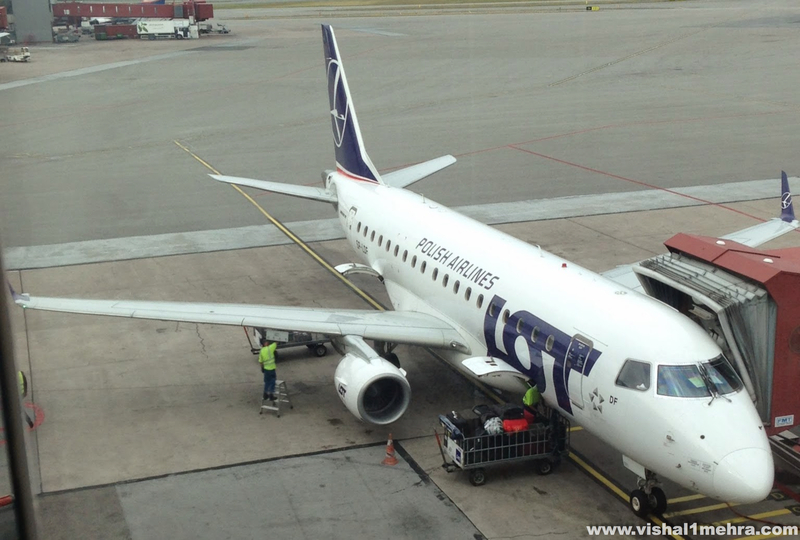 For an airline, which prides itself as Europe’s Best Airline, this was mighty underwhelming. While going back to my seat I requested the cabin attendant to please serve some vegetarian snacks to my parents, as they were quite hungry. I must add that all cabin attendants during this flight were warm, efficient and looked keen to help out. I was promised that she would look after them well. Later on I was told by my parents that they were served vegetable samosas by the In-Flight chef, which were quite delicious. About eighty minutes before arrival, the second service of the flight was started, where economy passengers were given a choice between a cheese sandwich or a cherry cake. If your answer was both, I’m happy to tell you, you were absolutely correct. The sandwich was just above average but I was happy with the cherry cake. It was just the right amount of sweet and tangy for me. I gulped both of them down with a small glass of Apple juice. 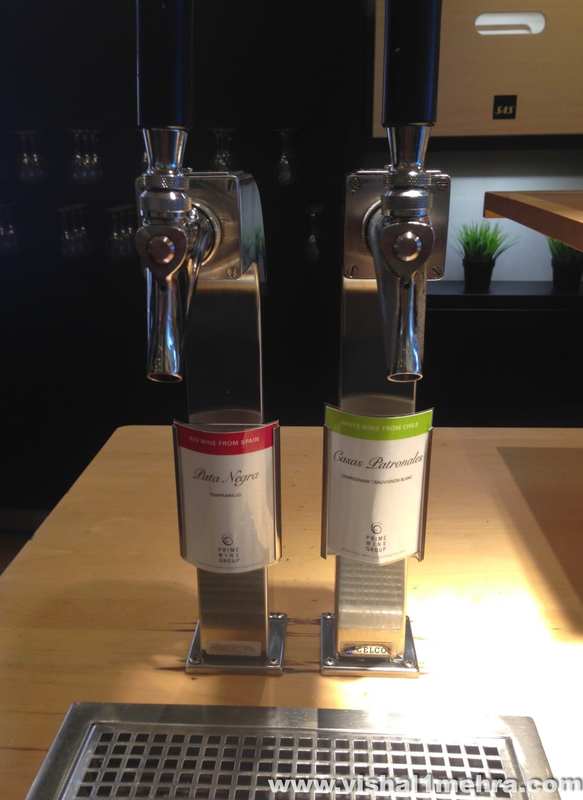 Other options in beverages included tomato juice, orange juice, regular and diet sodas. At no point during this flight I bothered with the IFE screen, and taking it out of the armrest. An initial overview told me it had enough content for a 6 hour flight, though definitely not for a 8-10 hour route. 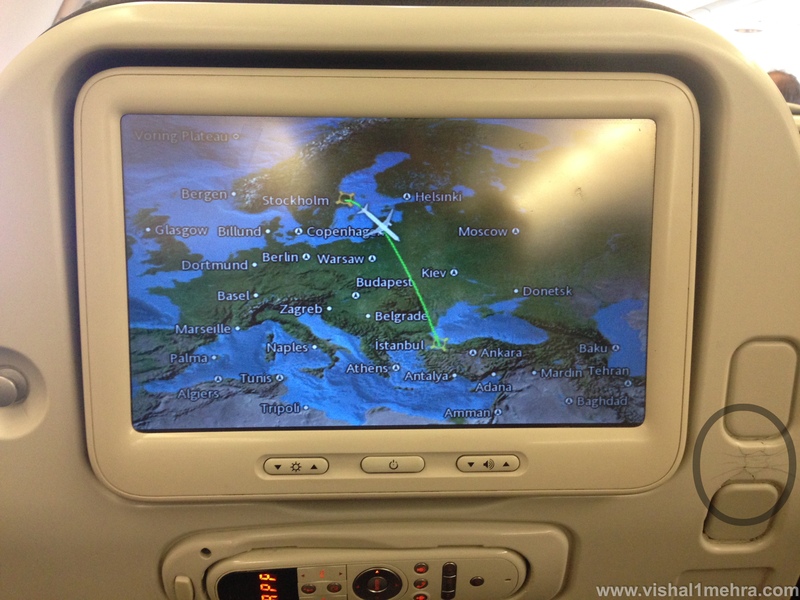 Usually I’m happy with the Live Route Map, and the big screen on Bulkhead exactly in front of me kept me busy. 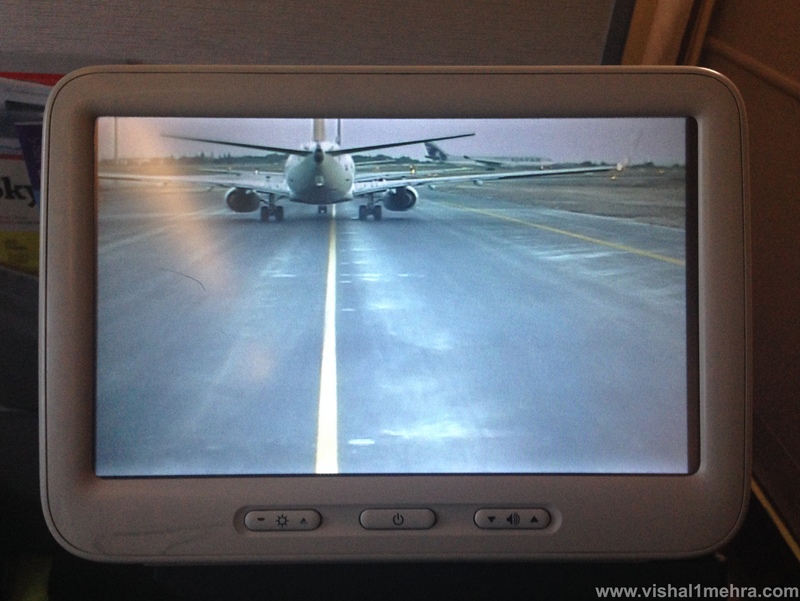 On our final approach to Istanbul Ataturk Airport, the captain activated the bottom fuselage camera and he was thoughtful enough to turn it to the nose camera for fantastic views as we descended on the runway. The landing was smooth and after about 8 minutes of taxi we arrived at our gate. The first flight of my trip was comfortable and efficient. The cabin crew was nice (presence of CEO on the flight?) and the food options were reasonable for a medium haul flight. Now it was time for me to do a quick hop to the Turkish Lounge, before catching my connecting flight to Zurich in 100 minutes. 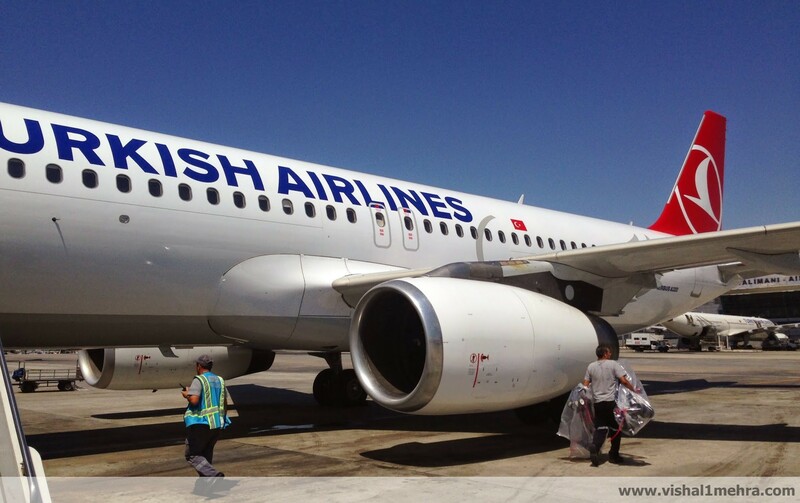 Have you flown with Turkish before to Istanbul? What has been your experience? 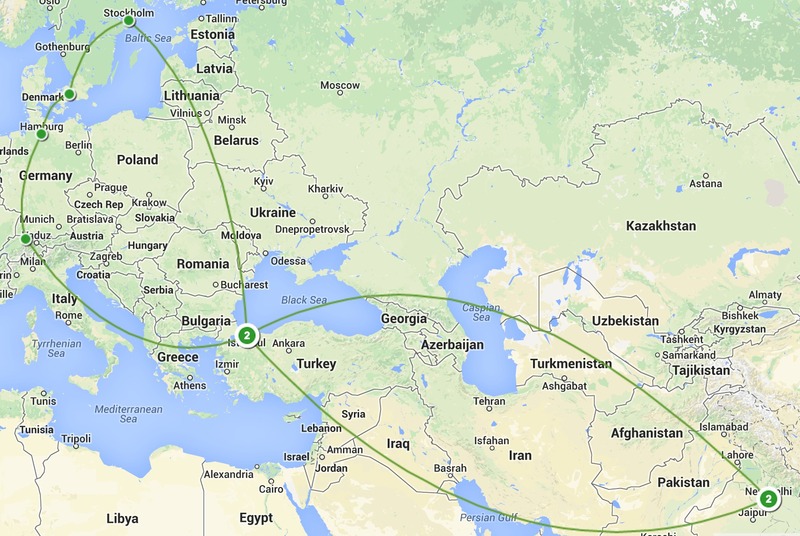 In the middle of January 2014, planning for this trip started taking place. I usually plan my travels well in advance, mainly due to cost benefits and the time to plan most trip components to the T. Travel planning is something, which I thoroughly enjoy, and this was going to be no different. The only difference going to be however was tagging along my parents and convincing them. My mom is relatively easy and I won’t even try to delve on “How I convinced my Dad for this vacation”. I’ll save that for a self-help book later. Anyways, once all that was finalised, it was time for me to decide on the destinations. I had gone to Switzerland with my friends in 2005 and since then always thought that my parents would love the Swiss sights. 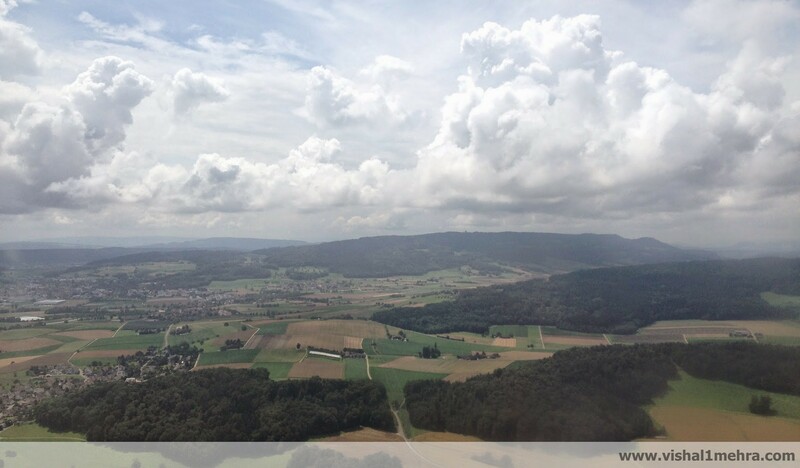 So the first city was decided as Zürich, where we made our base for 5 days to explore the neighbouring areas. Next up, I decided to venture up slightly north to Hamburg for 3 days, mainly because of the Airbus Factory Tour. For the remaining 8 days my long pending dream of exploring parts of Scandinavia was realised as Copenhagen and Stockholm were chosen as the last two cities. and That’s where the name of this trip came about to be. After a through deliberation, I booked Turkish Airlines for our trip. Mom & Dad were booked upfront in the Business Class, and I resigned myself to Economy. Turkish is known for their flat beds in Business and the fantastic cuisine catered by Do & Co, although both my parents don’t drink and are vegetarian, I suspected they would still enjoy the hard product. 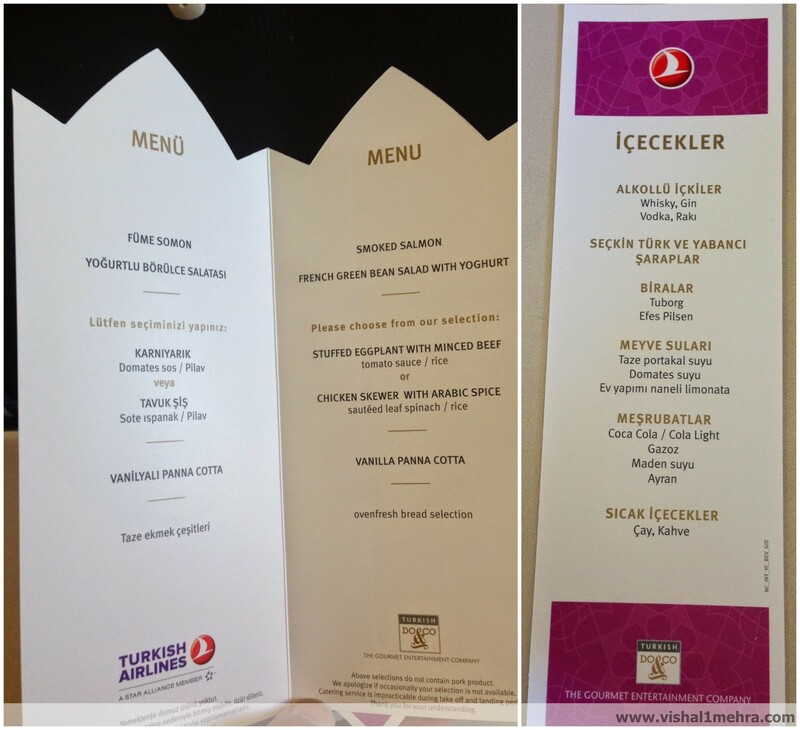 Plus the opportunity to experience Turkish CIP Lounge at Istanbul was too good to pass. The Intra-Europe routing was made with the help going through “Man in Seat Sixty-One” extensively (Highly recommended for train travel, especially European). The traveler in me was stoked by trying out three completely different trains, while keeping in mind it would be more comfortable for my parents as well, compared to taking short flights. Train travel in Europe is comfortable, scenic and expensive but if you book out 91 days in advance (62 days for some train companies), advance deals are great value for money. 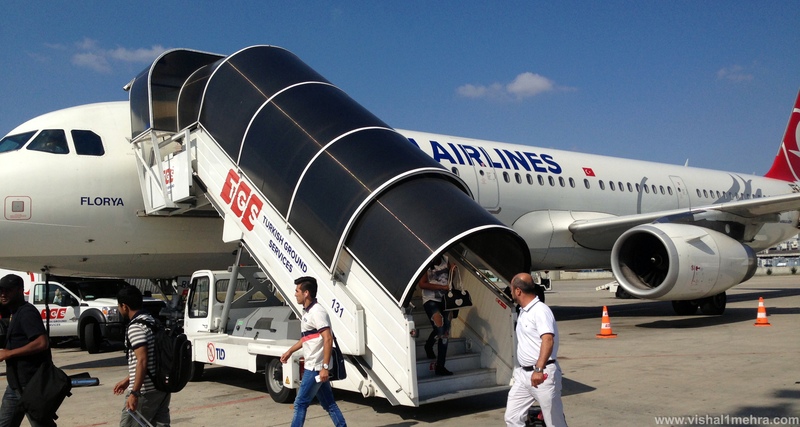 I had flown Turkish few years back to Paris, and had liked their service in Economy. However, during this trip I was keen to see how they will serve my parents traveling in Business Class. 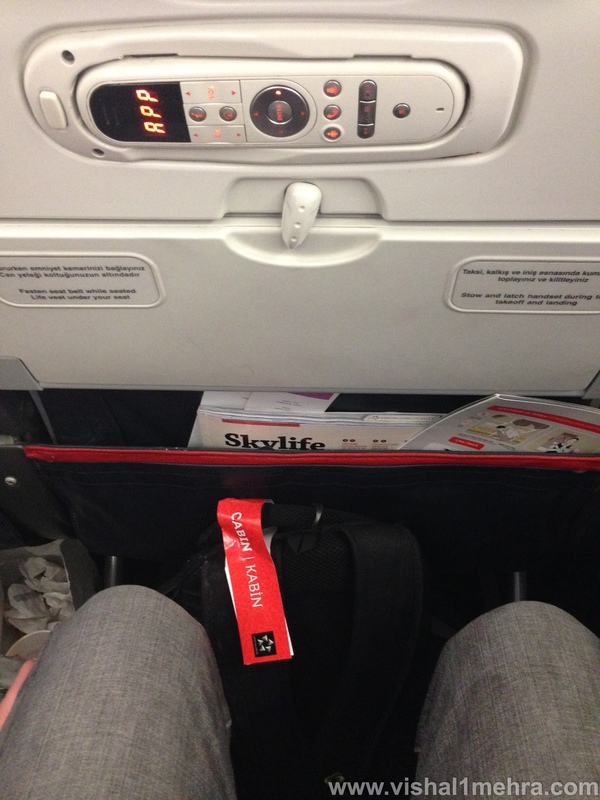 I was in economy but secured bulkhead seats on both A330 routes. Who minds extra legroom, right? 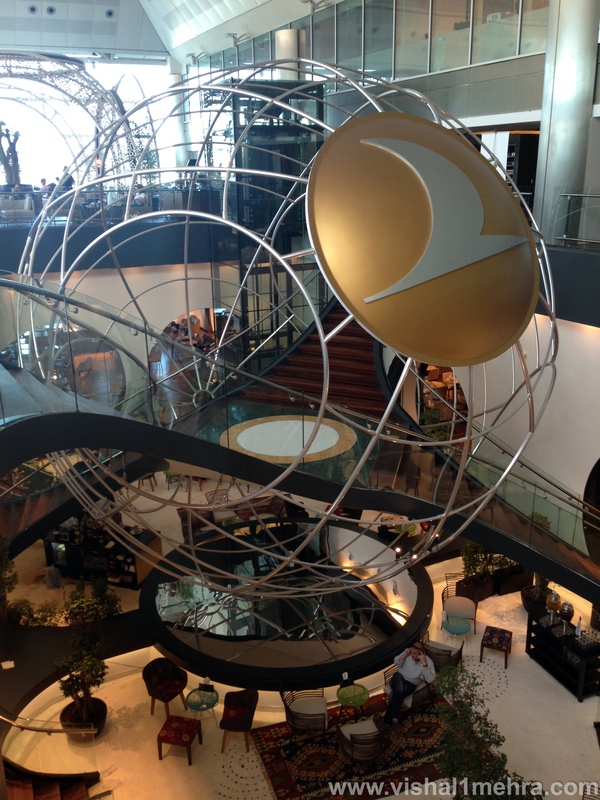 Let’s admit it, each & every self-respecting aviation geek out there knows about the legendary Turkish Airlines lounge at Istanbul and has read plenty of reviews terming it one of the best Star Alliance Lounge in the world. 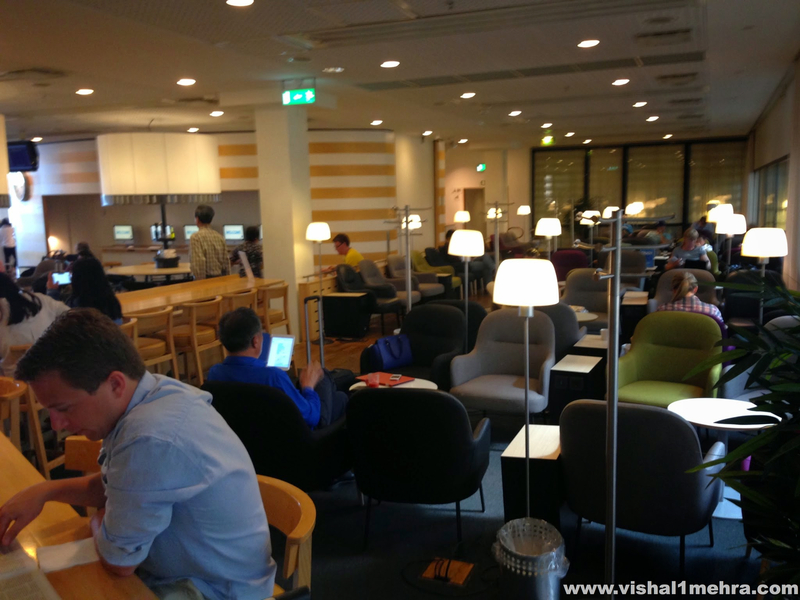 Therefore, I decided completely skip reviewing this lounge and instead focus on SAS Star Alliance Lounge at Arlanda International. PS: Turkish CIP Lounge is indeed fantastic. 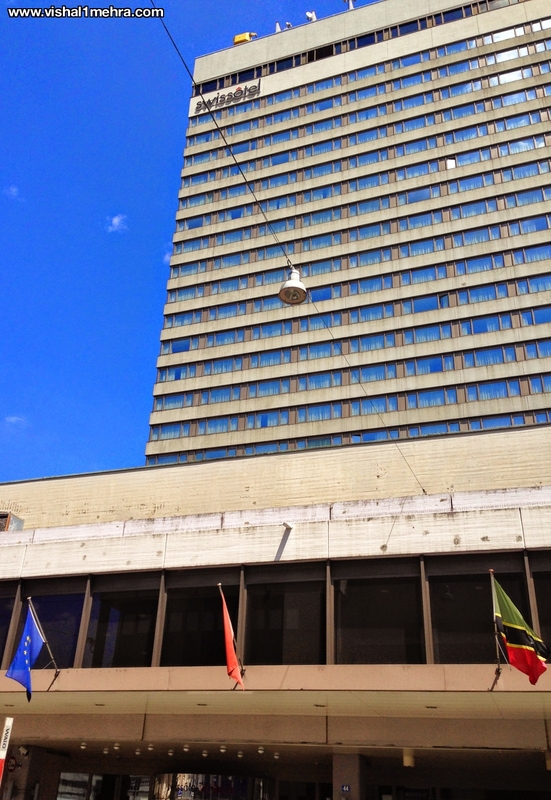 Last time I was in Zürich, I was staying in a Hostel. I figured with family in tow, I had to look at something way more comfortable and convenient. 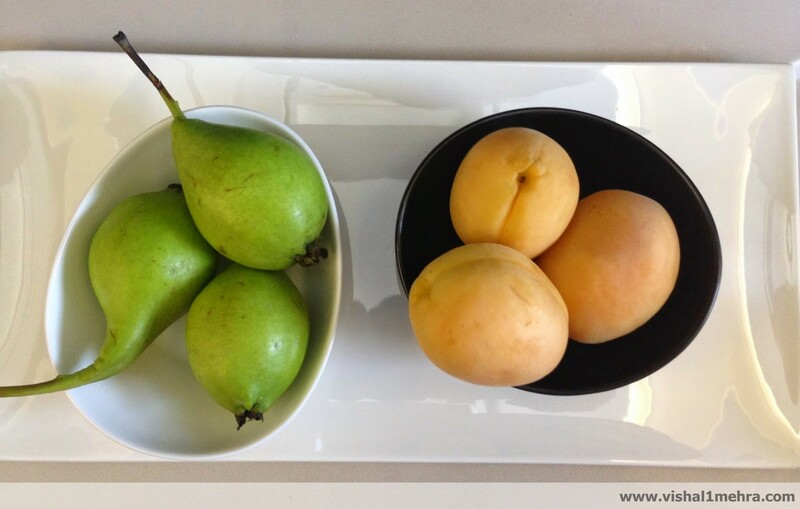 Swissotel Zürich is right next door to Zürich Oerlikon station, has a great breakfast spread, plus every stay at the property gets you 500 JP Miles. 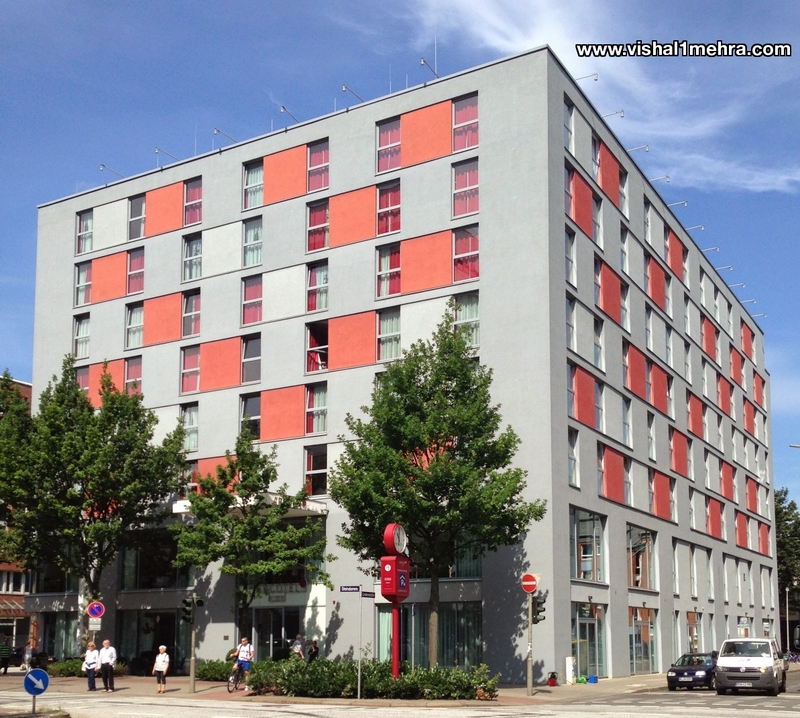 At Hamburg I wanted a hotel close to the main Hauptbahnhof station as we were using trains for both arrival and departure into the city. The city centre is also close-by and after extensive research I chose Arcotel Rubin. In fact, while other hotels were finalized more than two months in advance, I confirmed Arcotel Rubin only two weeks out. This was my first visit to Denmark, let alone Copenhagen so I was looking for something striking, modern without breaking the bank. Bella Sky Comwell was perfect in all departments. Apart from being a stunning design hotel from the outside, there were plenty of great details inside which I appreciated. While checking-in, I got a great deal on a paid-upgrade to the top 23rd floor and the views from the room more than paid for it. 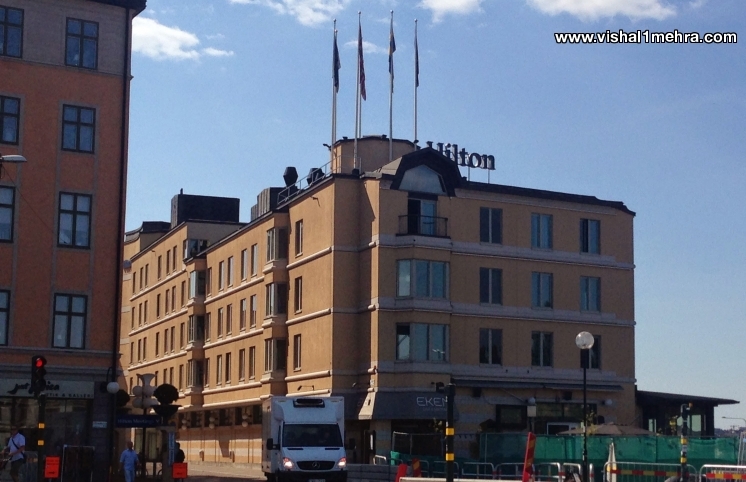 To end the trip I figured it would be best to do it with some added luxury and I chose Hilton Slussen over Sheraton Stockholm. 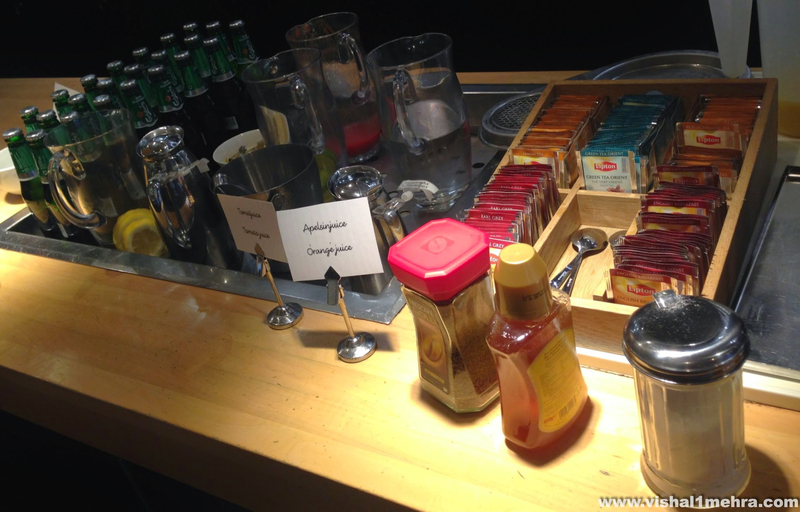 Besides getting a great deal, I also stood a chance for free breakfast, room upgrades (which happened second day into the stay) and other amenities due to my Hilton Gold status. The views from the room, the proximity to main attractions & the executive lounge access made last four days of our trip memorable. This trip turned out to be exactly as I imagined it to be and beyond. Liechtenstein, Denmark and Sweden became #29, #30 and #31 in my countries visited list. I also visited two new lounges, three new train services, thirteen different beers, got my Burger King fix for the year and of course visited the Airbus Plant in Hamburg. I’m excited to share my experience in detail with all of you in the days ahead. Thanks for reading, let me know if you have any comments or questions. 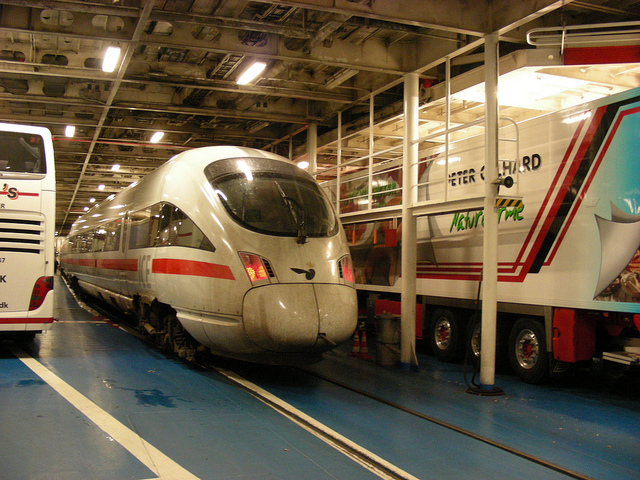 Related Trip Posts: Train on a Ferry! During my travels last month in Scandinavia, one the more interesting experience was something I had never experienced before. Basically, our ICE train from Hamburg HBF to Kobenhavn (Copenhagen) got inside (YES!) a ferry to cross into Denmark from Germany. This happened at Puttgarten to Rodby ferry, one of the few remaining routes in Europe where trains go onto ferries. Never knew that! This crossing over the Baltic Sea took us about 45 minutes and we were required to leave the train and our luggage, to go up into the ferry whilst it is at sea. 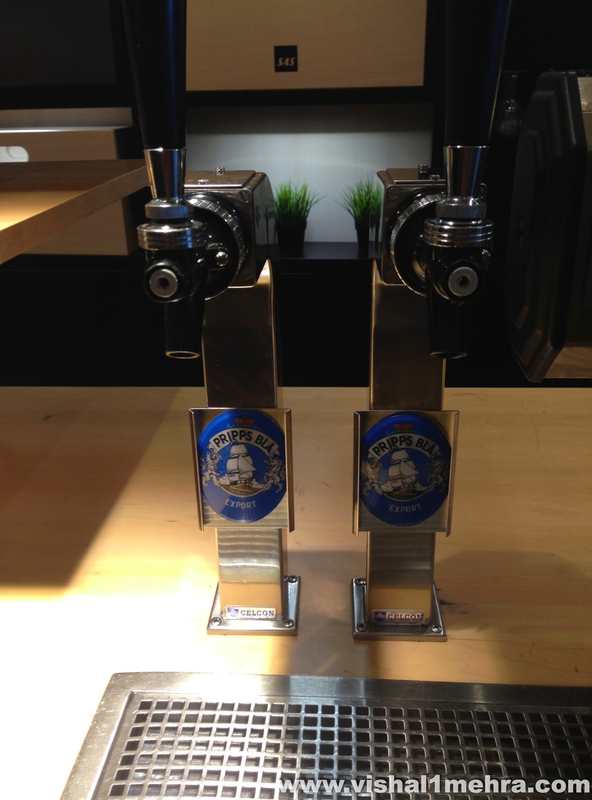 The ferry had many cruise ship like facilities: Bars, Restaurants, and Duty free shops (liquor is very expensive in Nordic countries). I was able to capture my experience and video graph the various parts of it, and put it together, from going in to coming out of the ferry, in 2 minutes and 16 seconds. This is certainly something off my bucket list which I never knew existed, and that’s what makes it even more special. Have a look and tell me what you think?